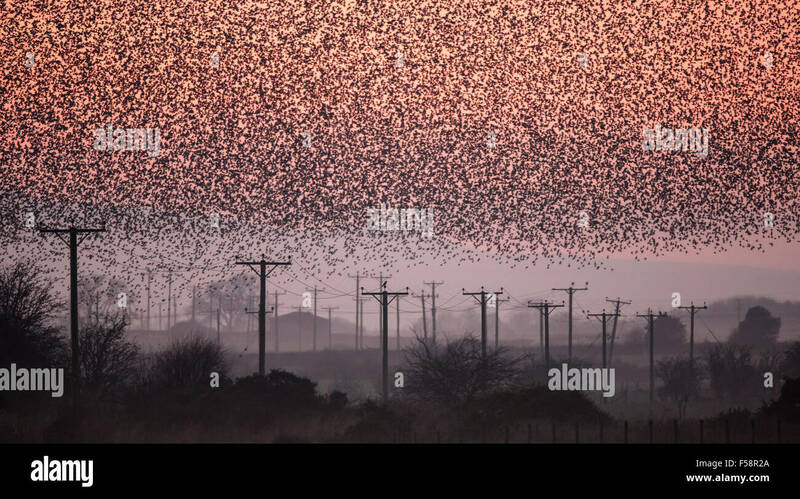 Pre=roost gathering of starlings on power lines at Meare, near Glastonbury. 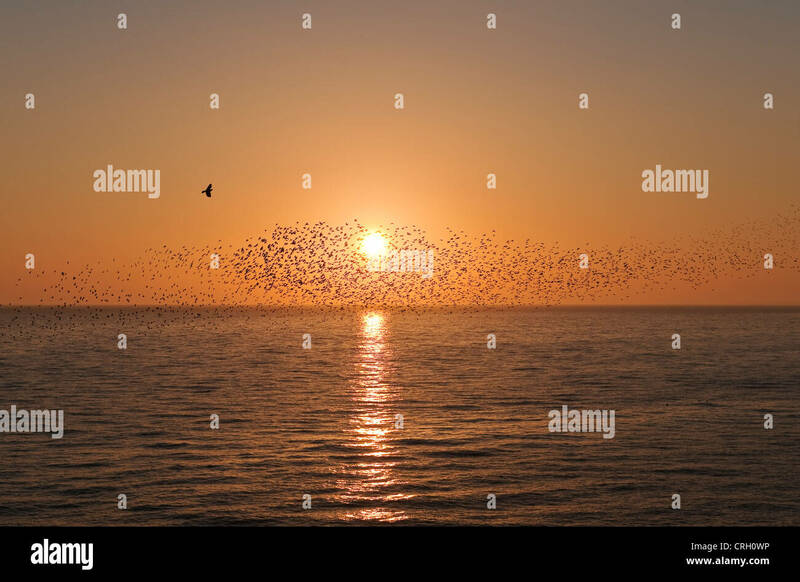 Taken with the sun low in the sky. 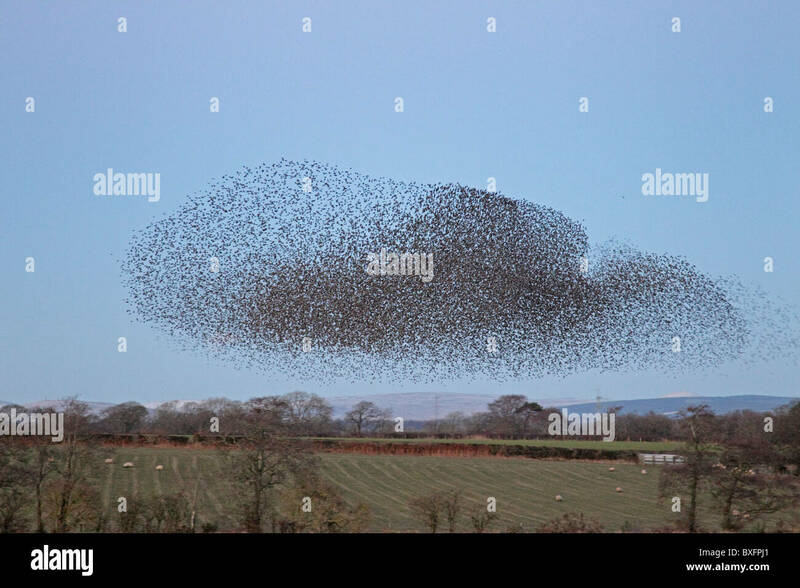 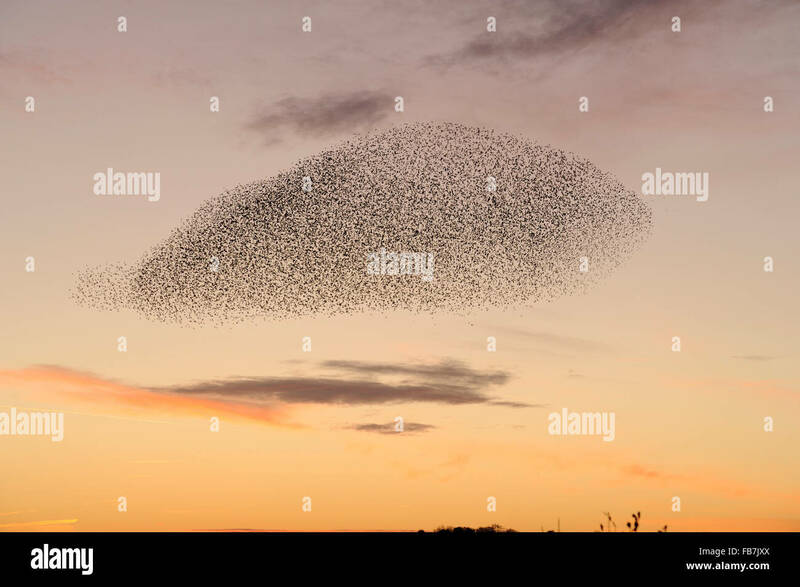 Flock Starlings near Dunbar, Scotland. 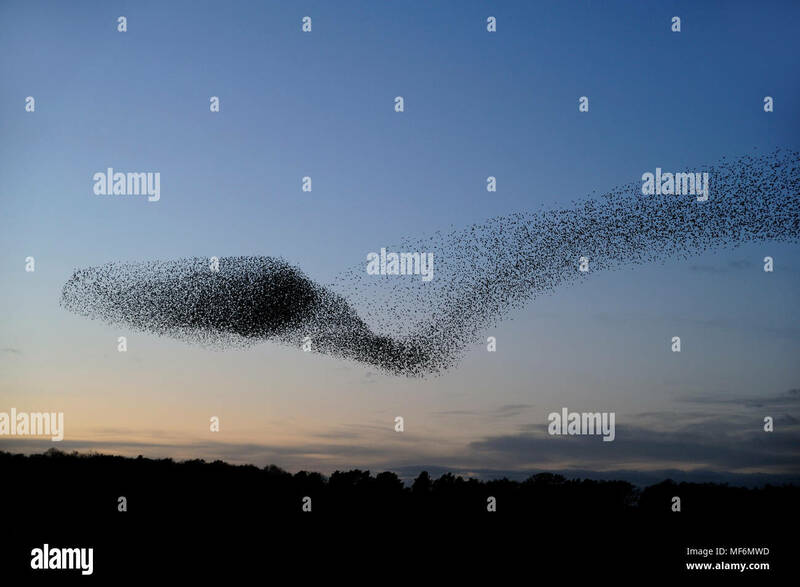 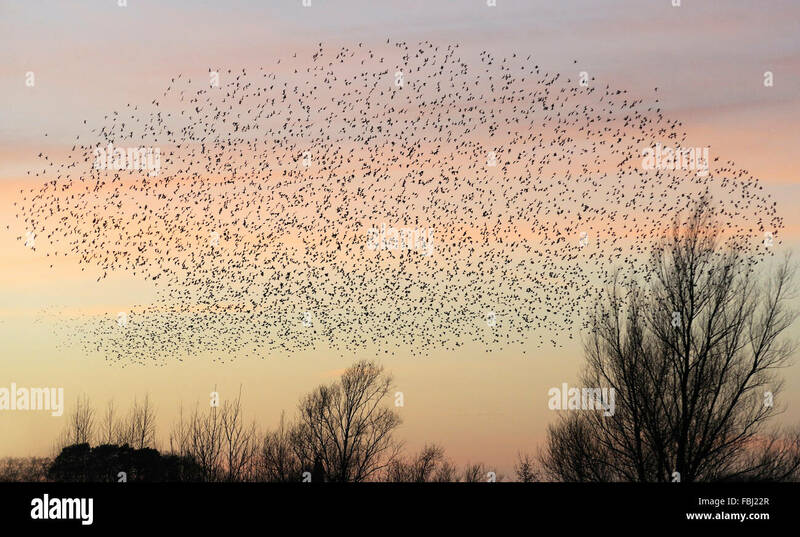 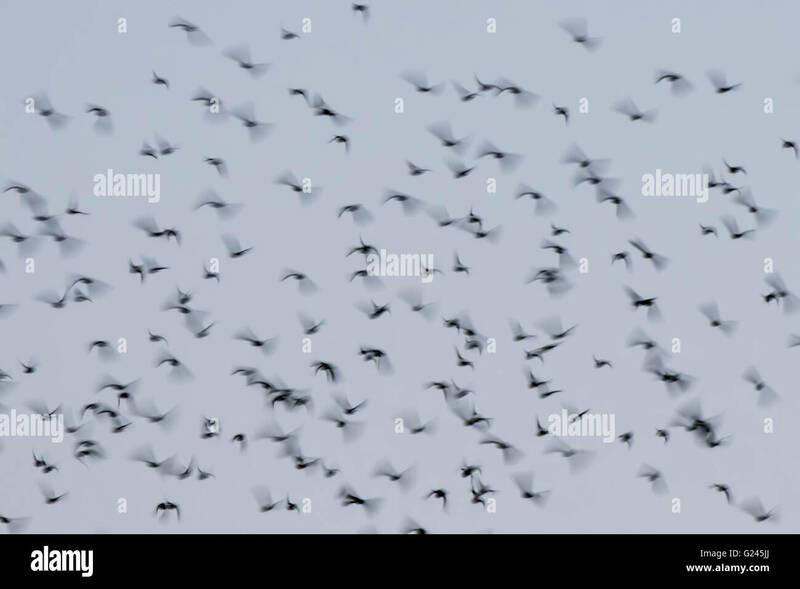 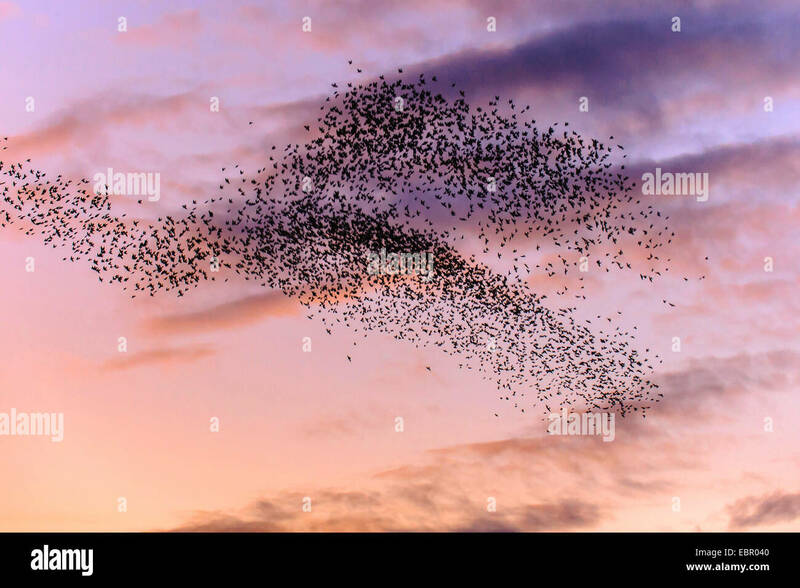 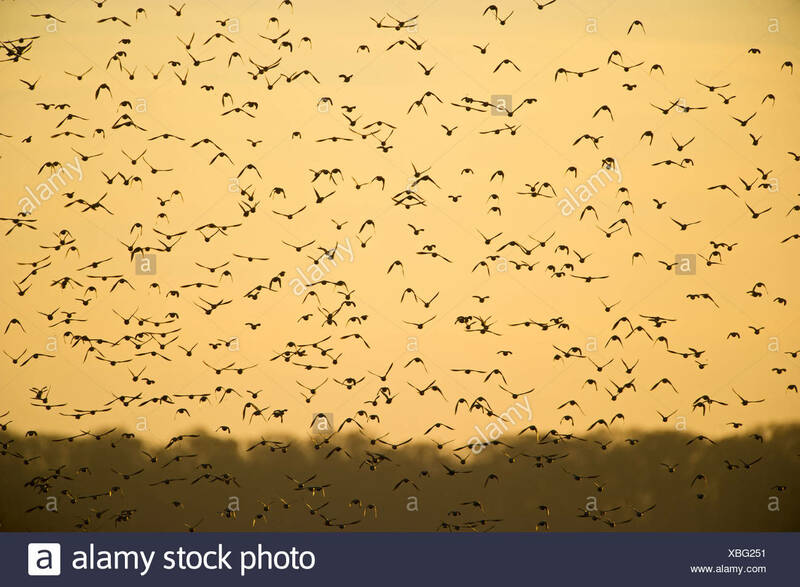 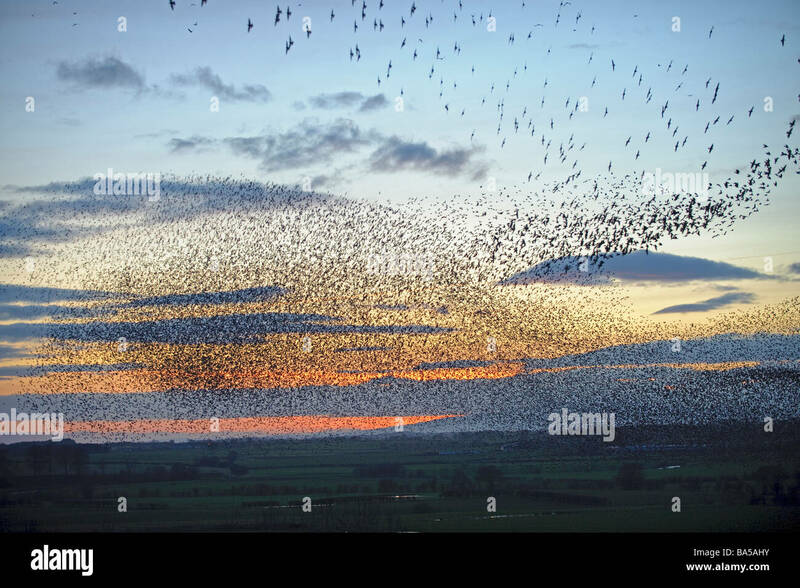 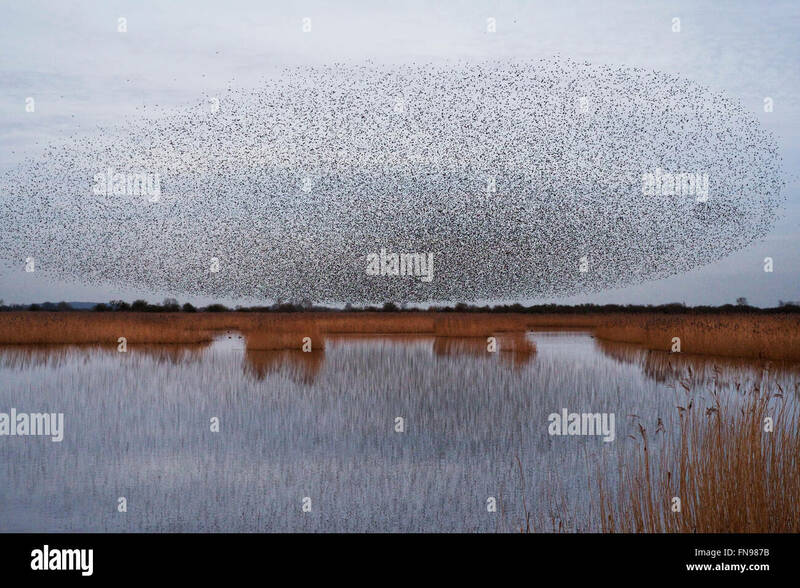 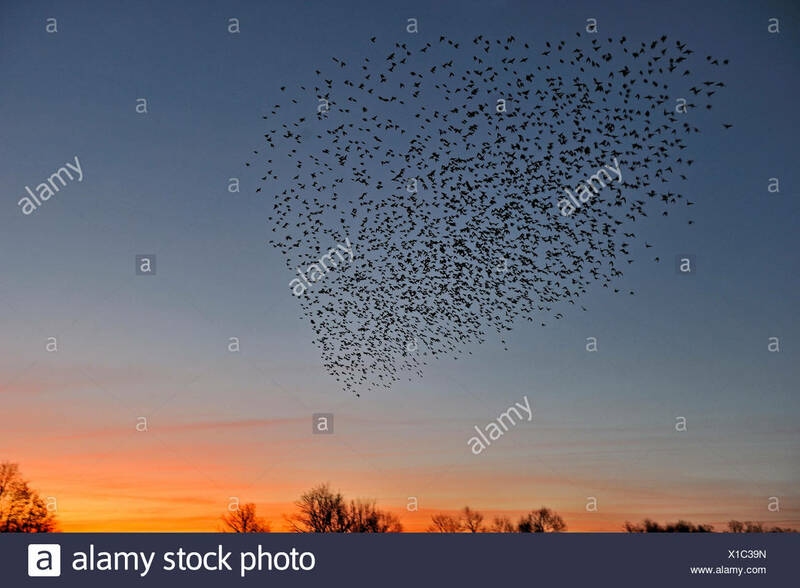 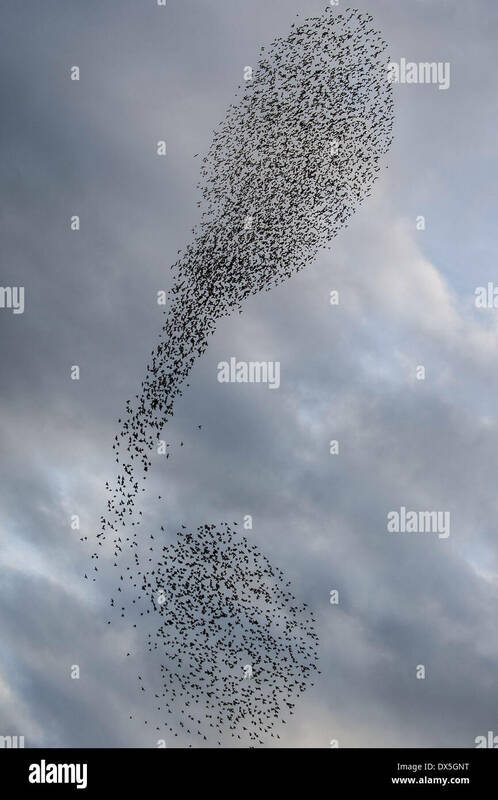 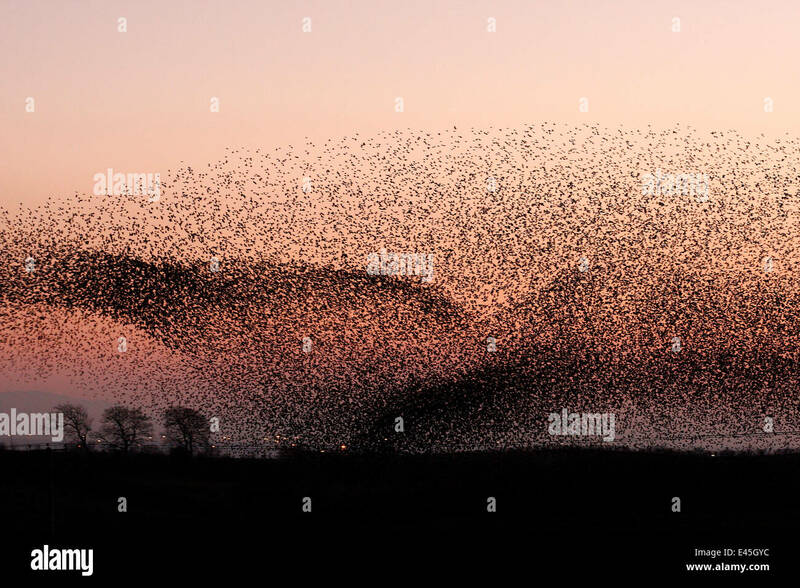 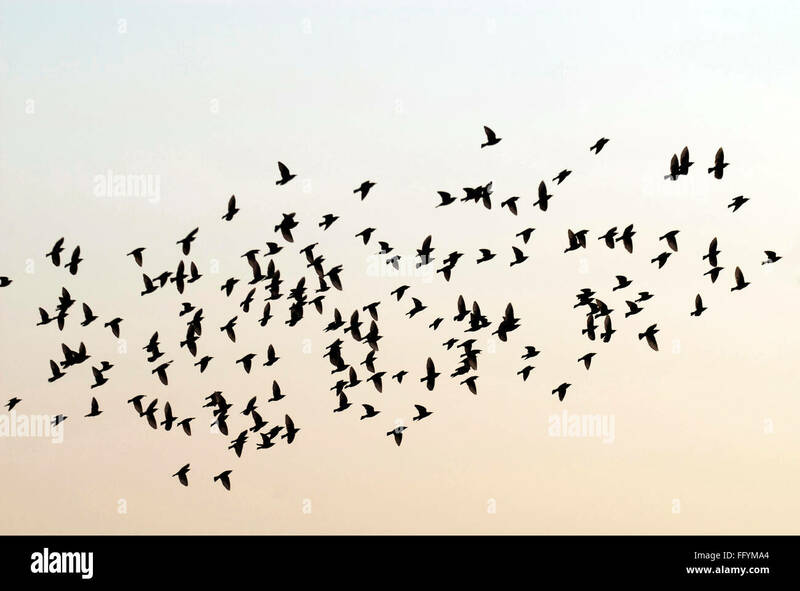 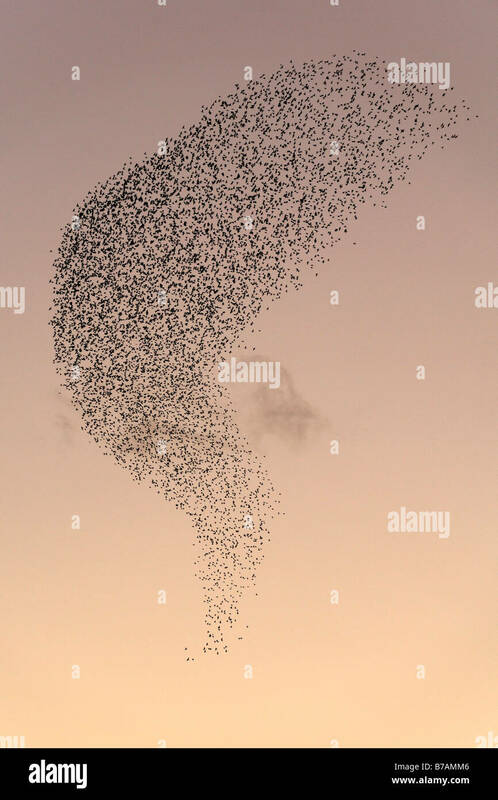 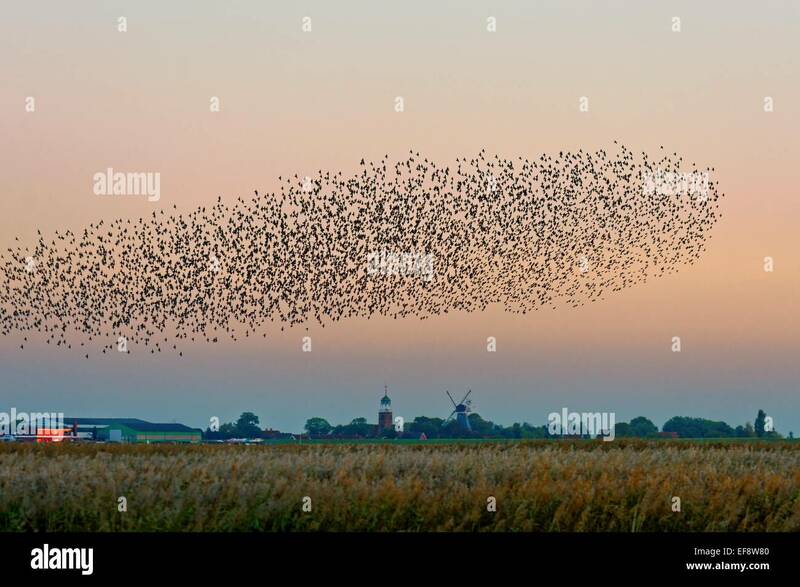 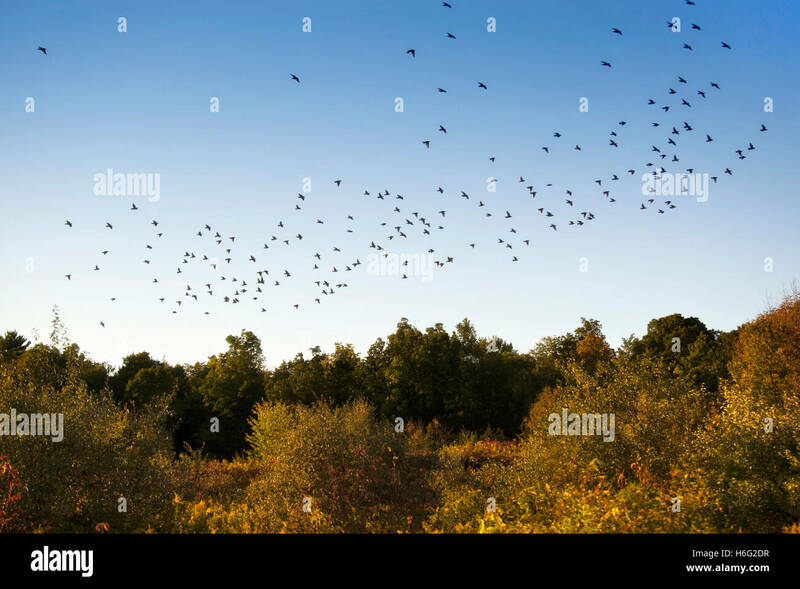 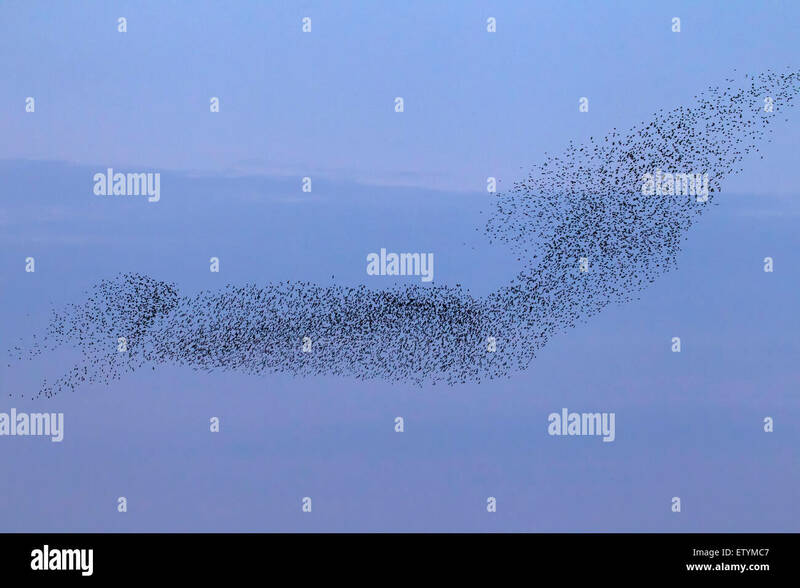 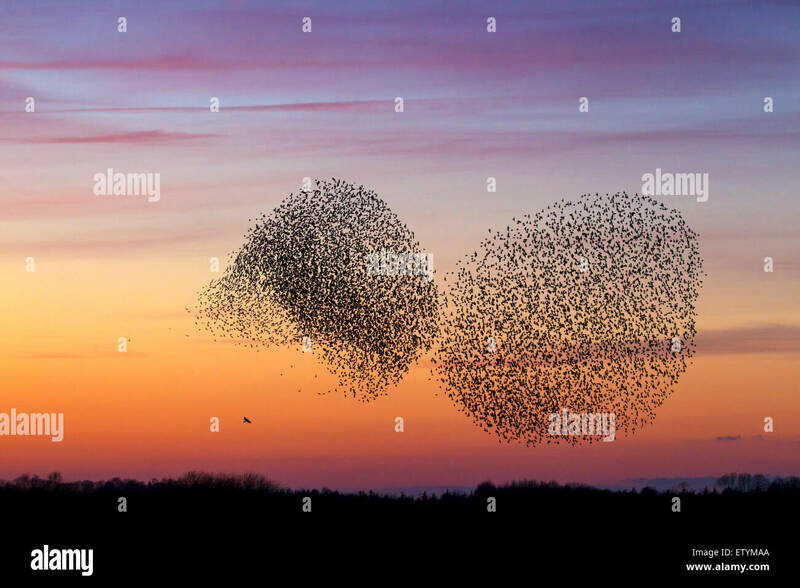 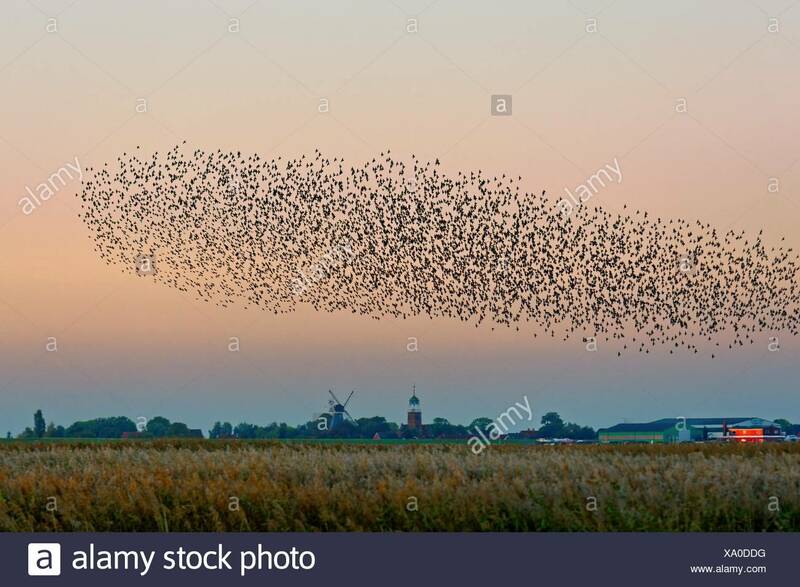 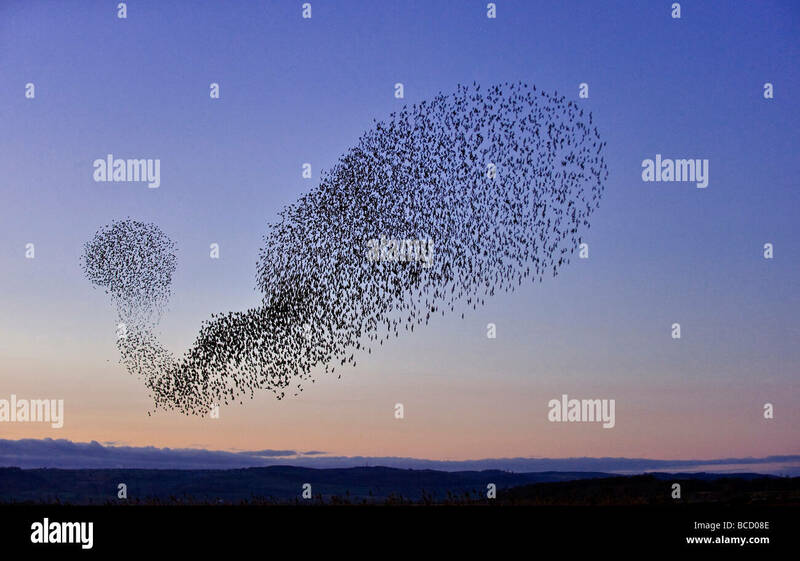 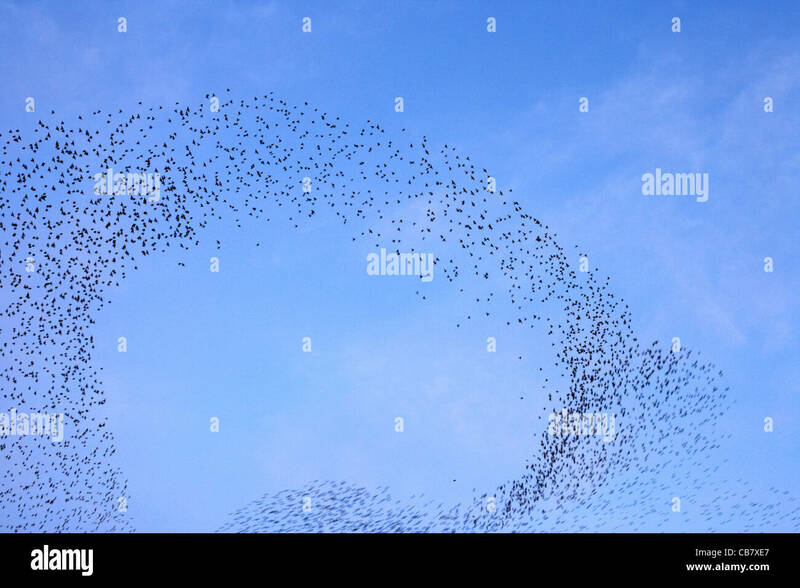 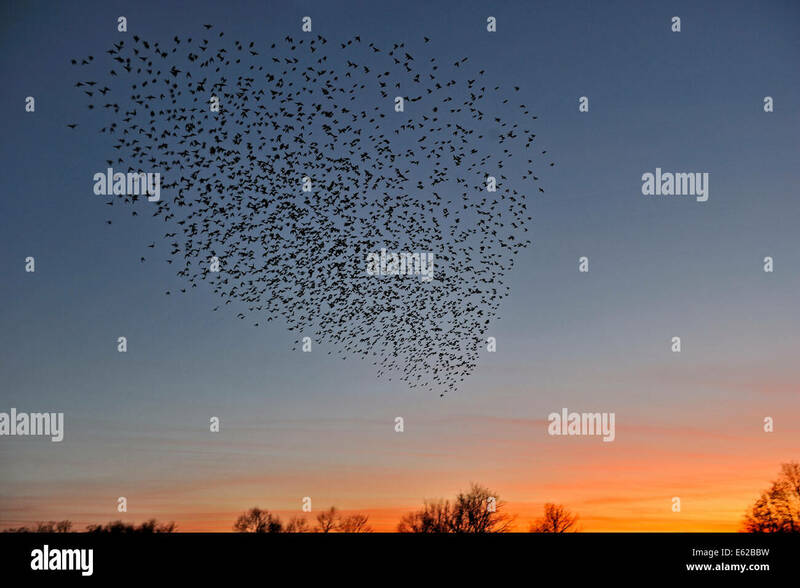 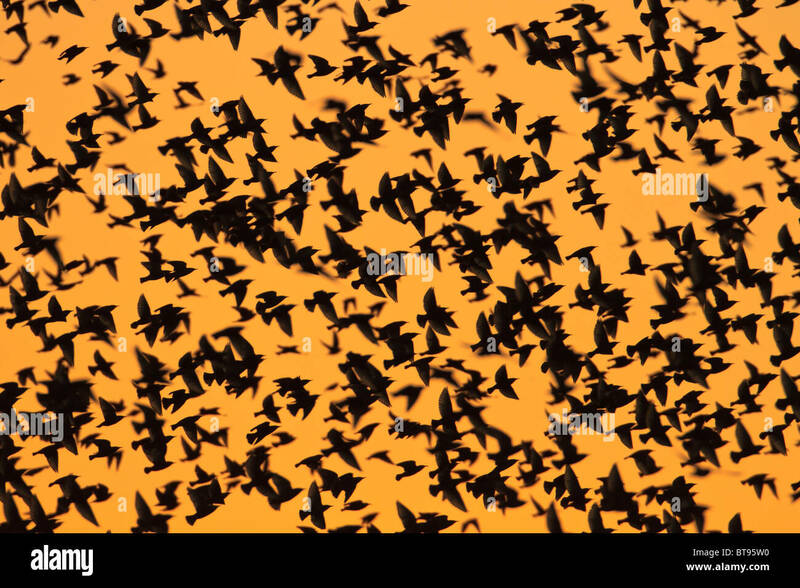 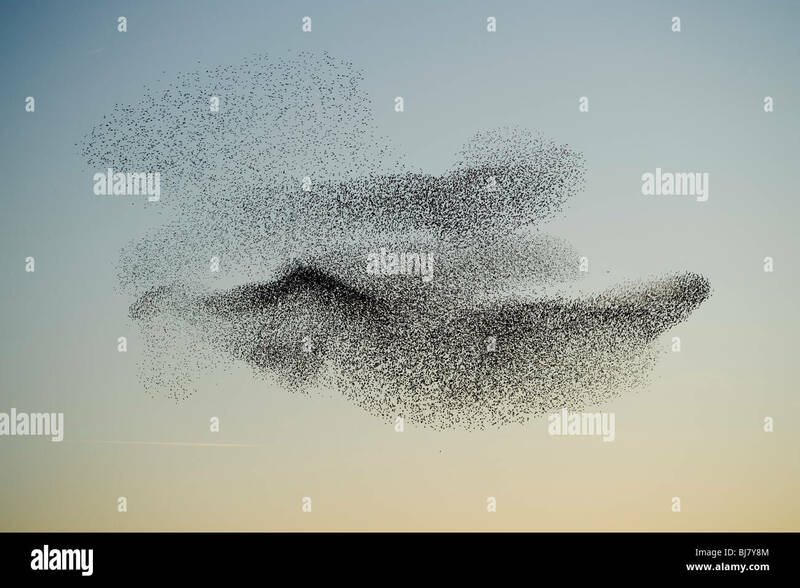 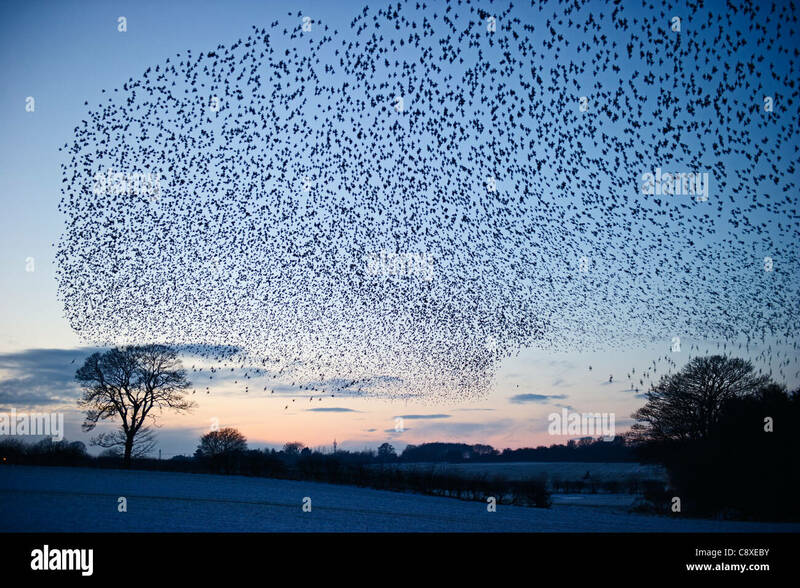 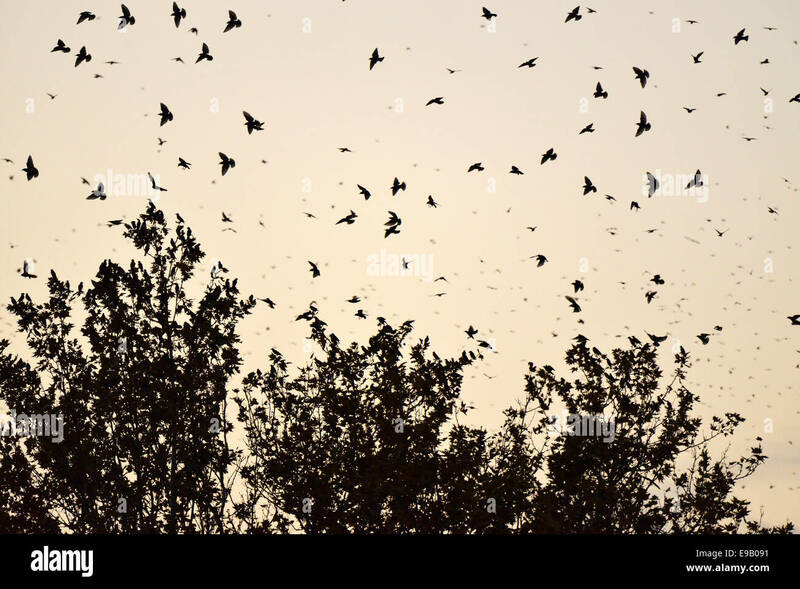 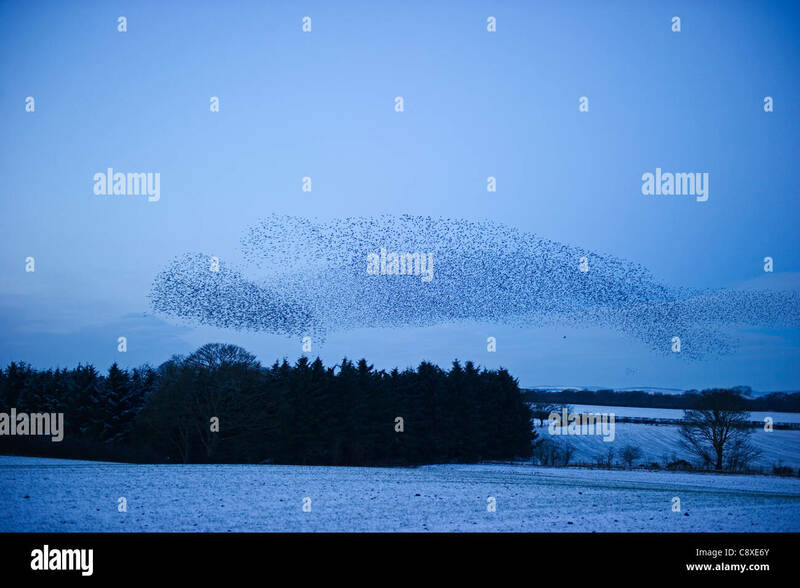 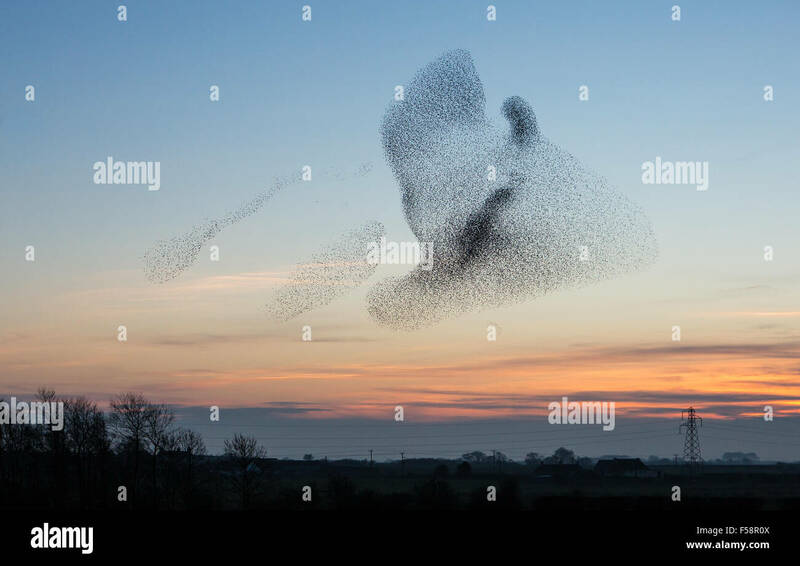 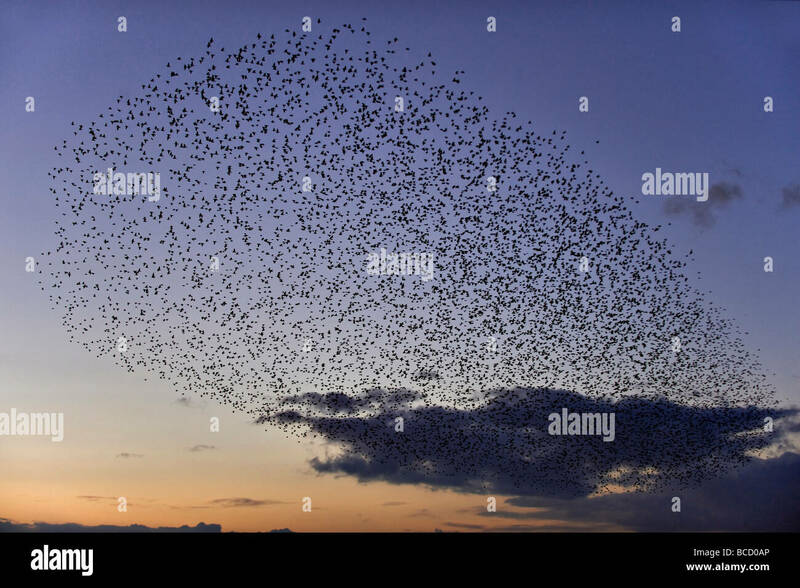 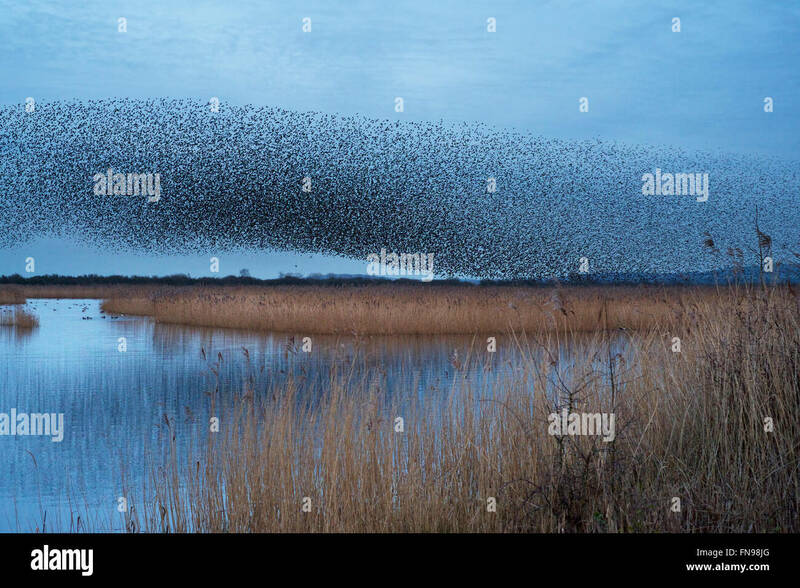 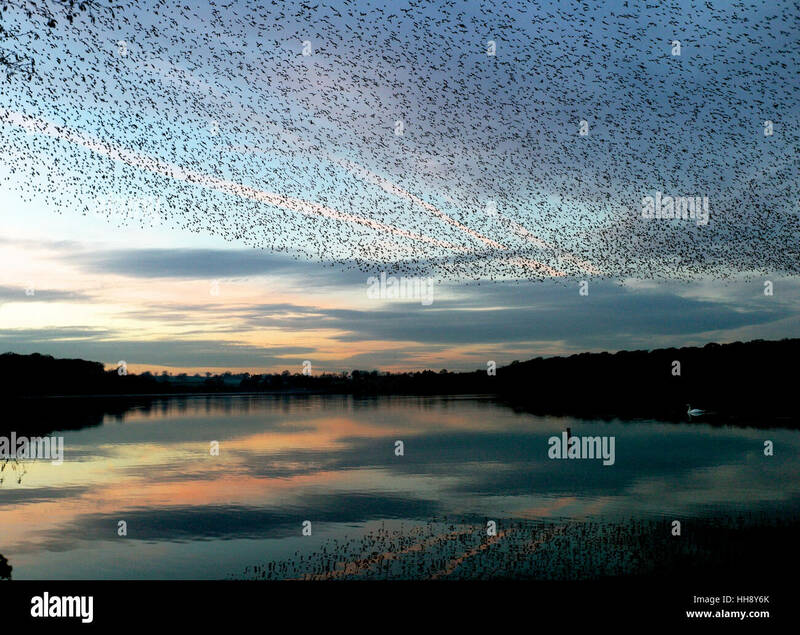 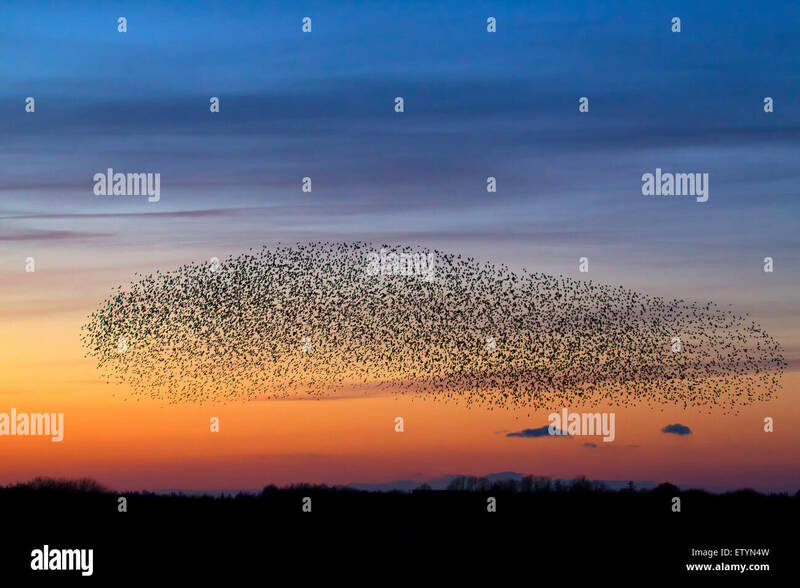 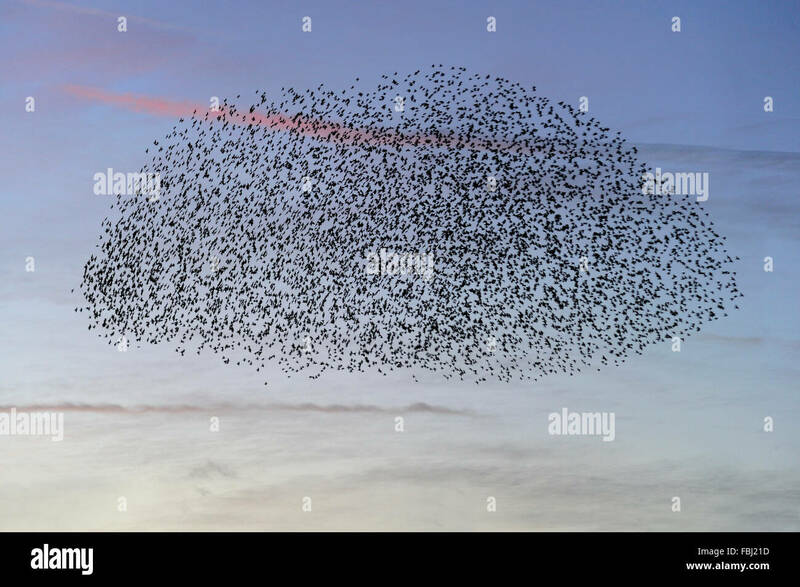 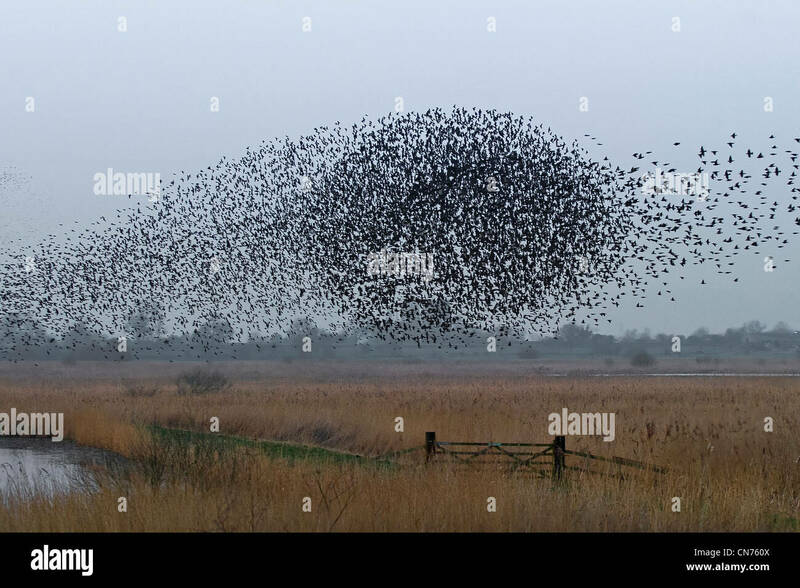 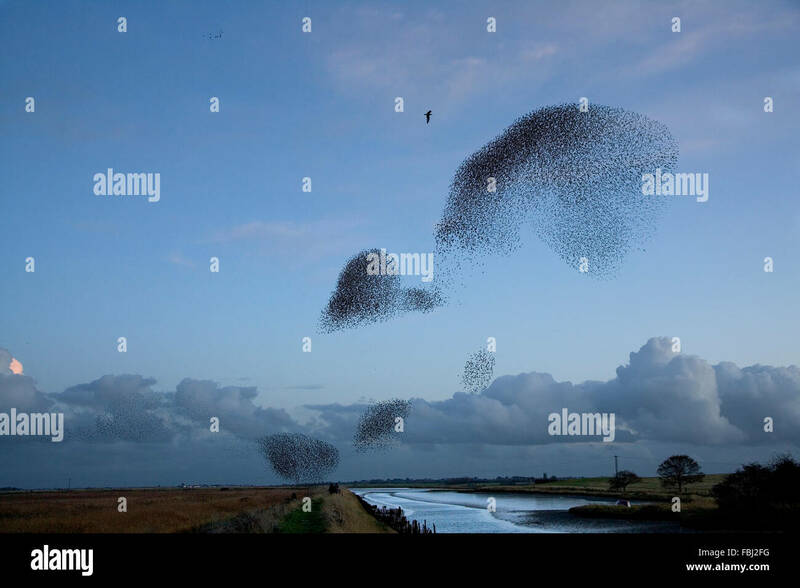 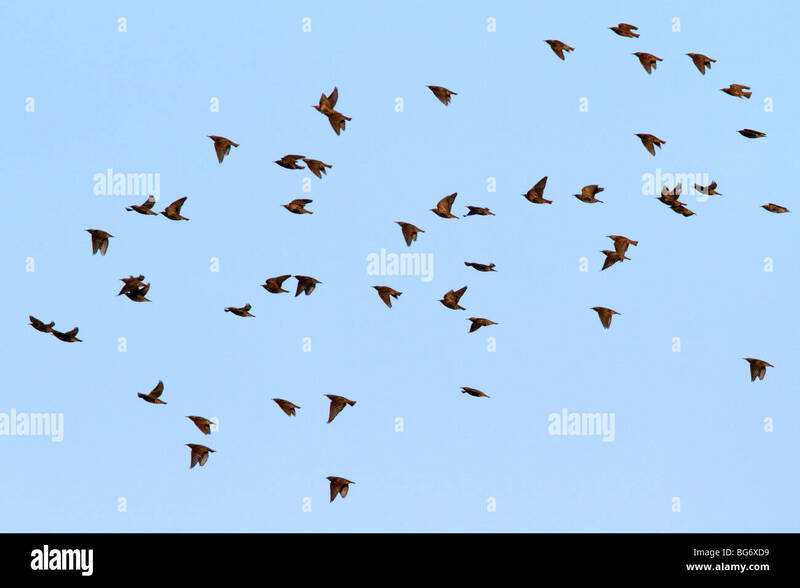 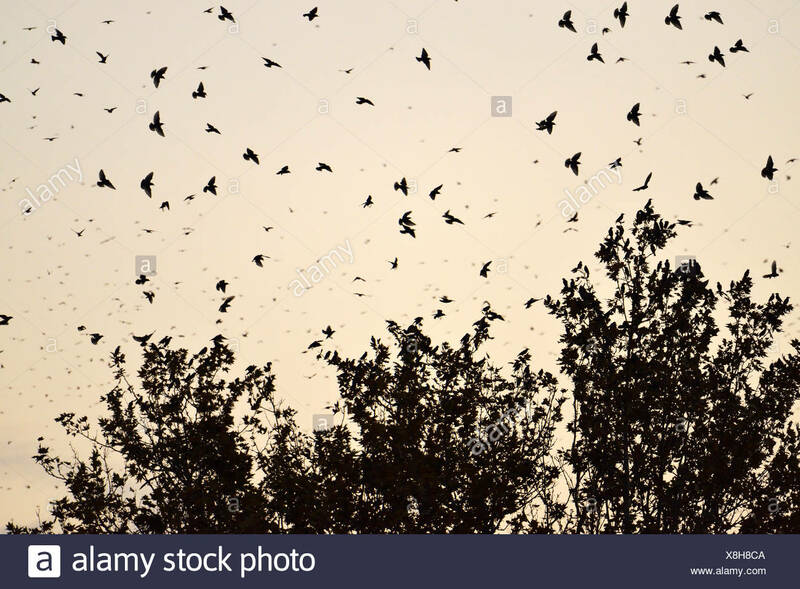 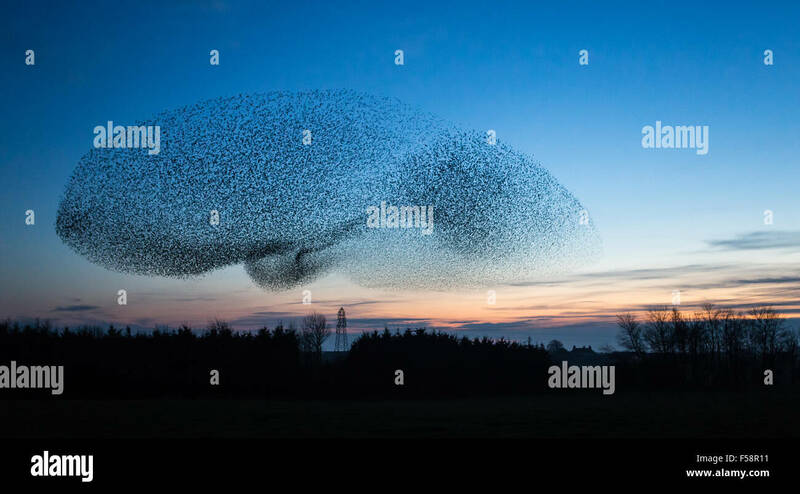 A murmuration of starlings, a spectacular aerobatic display of a large number of birds in flight at dusk over the countryside. 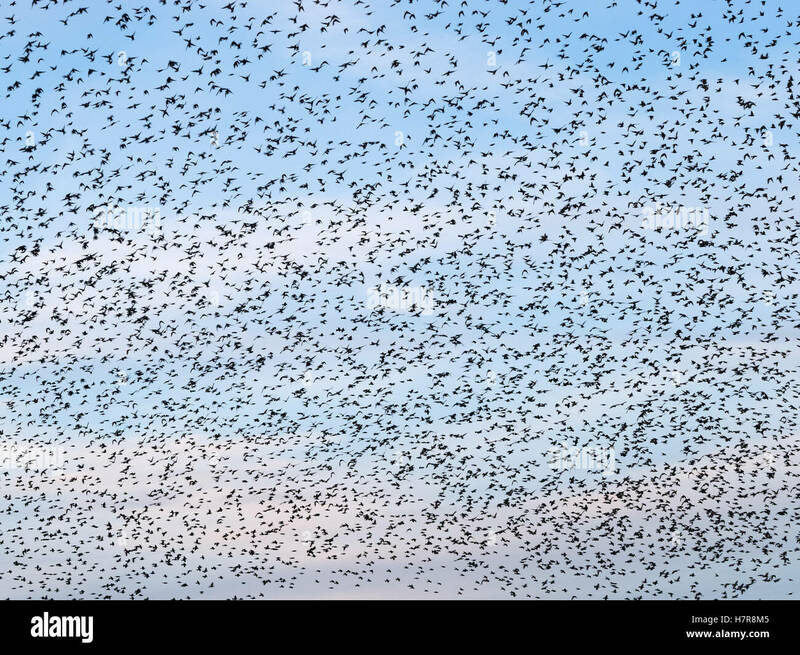 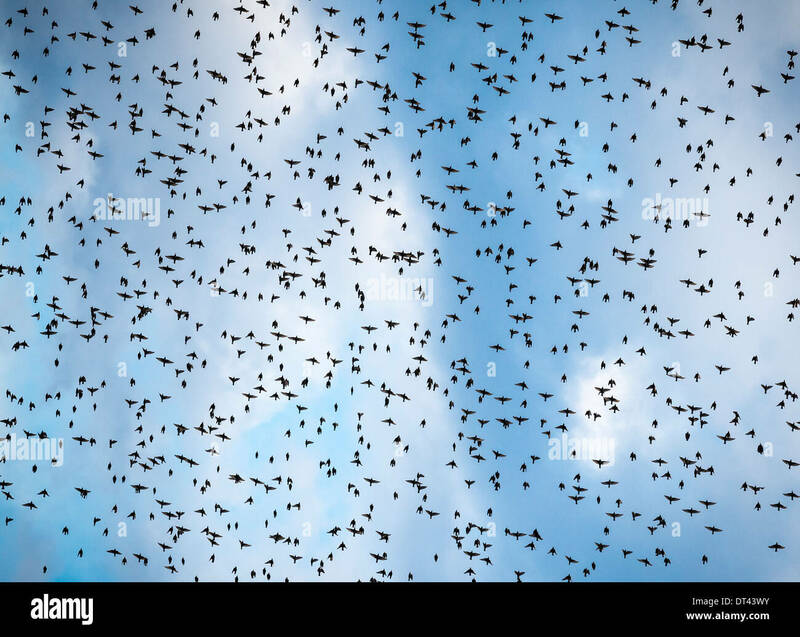 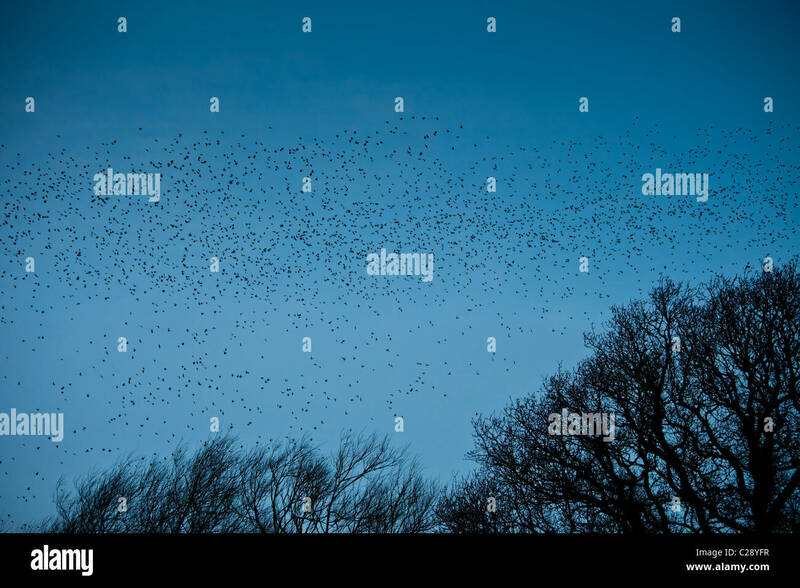 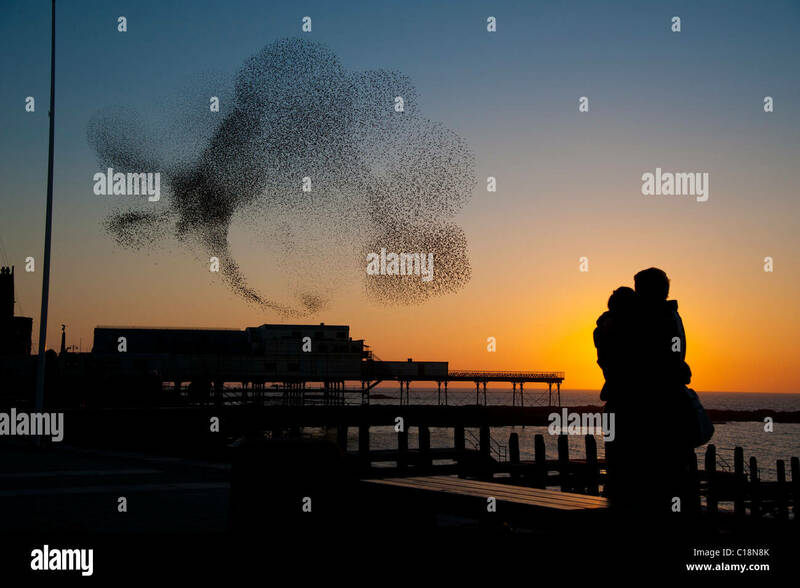 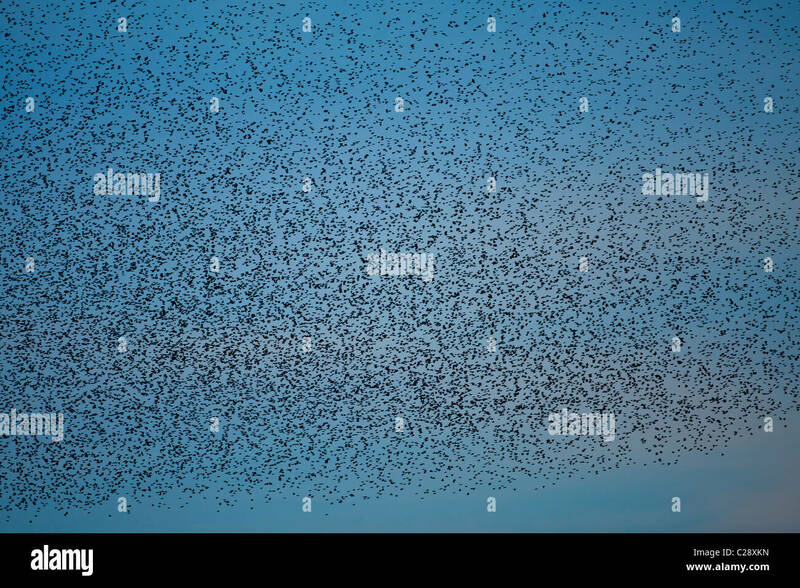 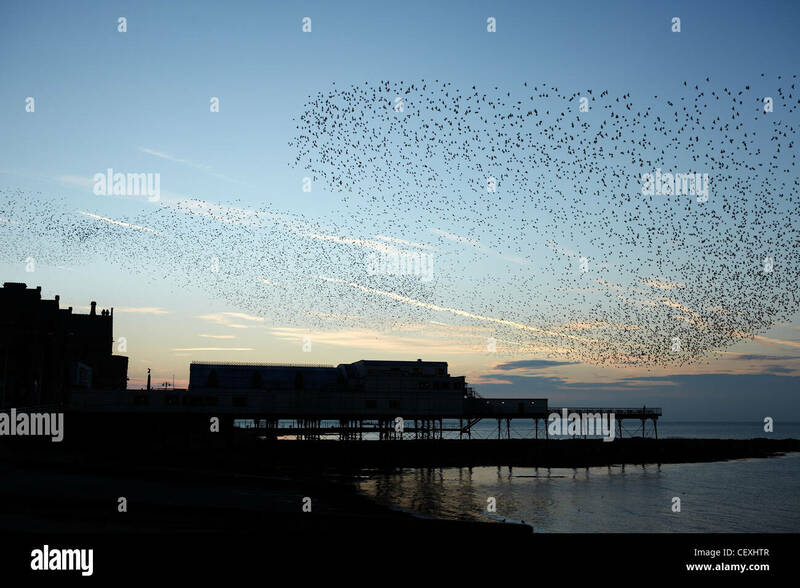 Sky full of starlings birds during a murmuration in Aberystwyth, Wales UK. 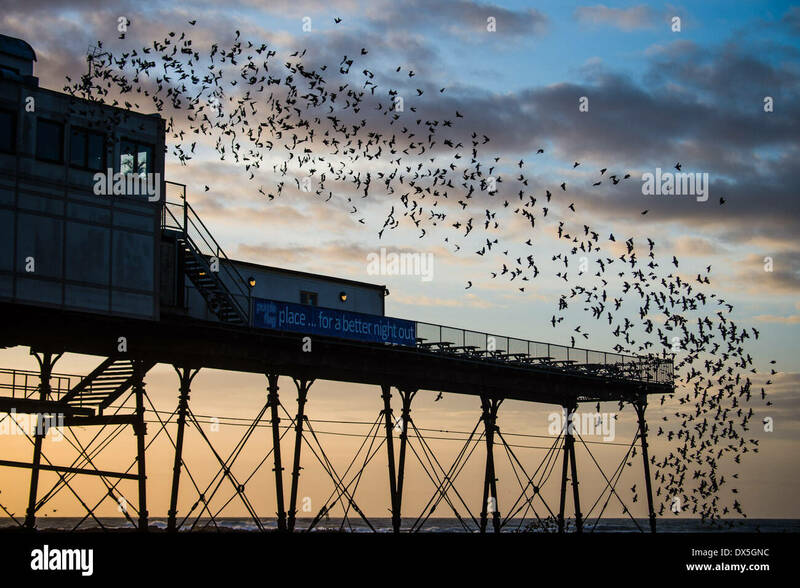 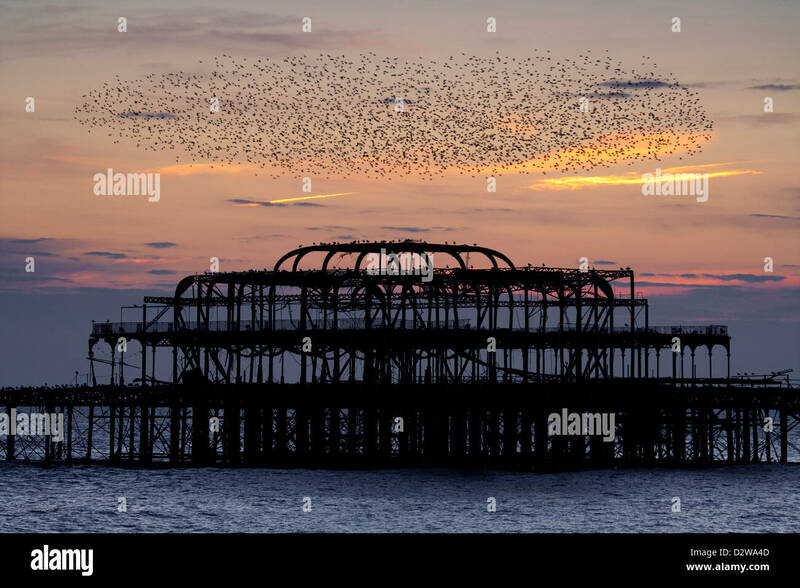 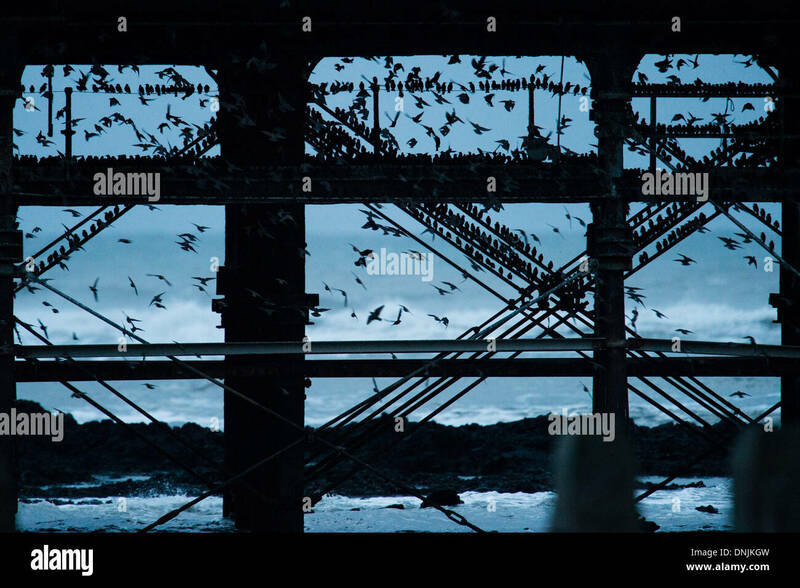 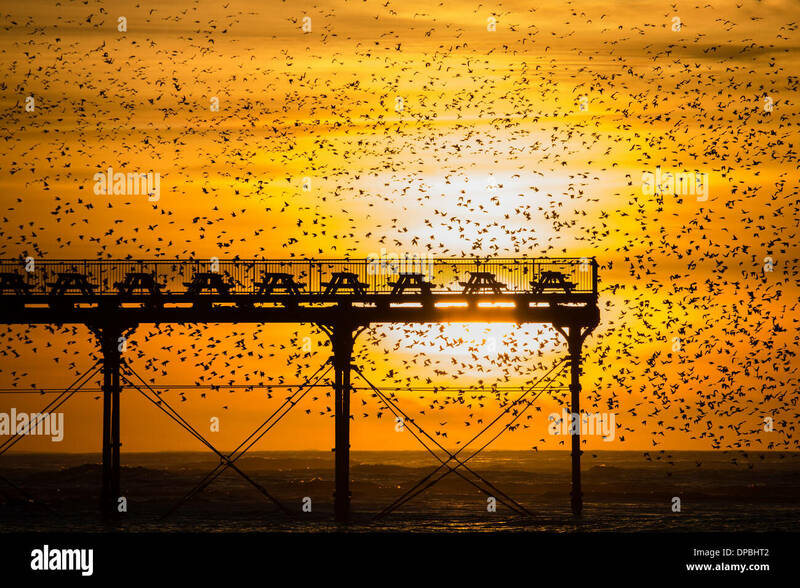 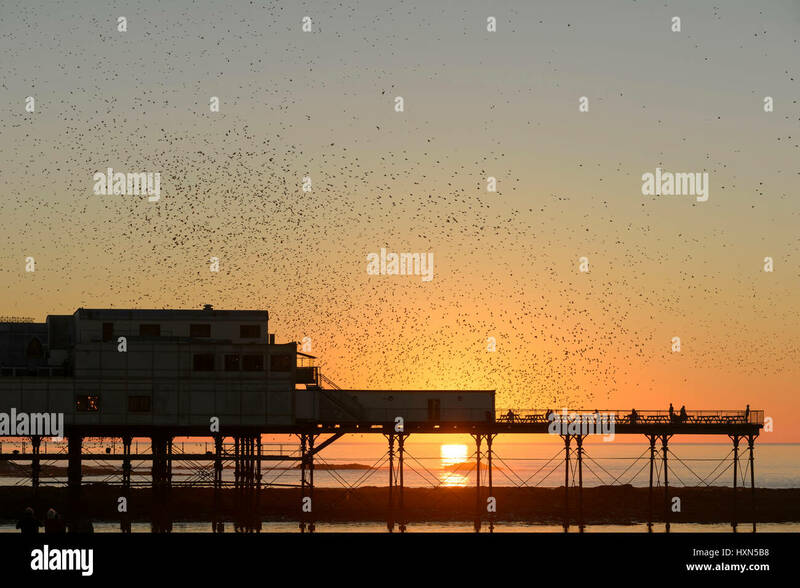 Starlings flying over Brighton's burnt out west pier at sunset in East Sussex, UK. 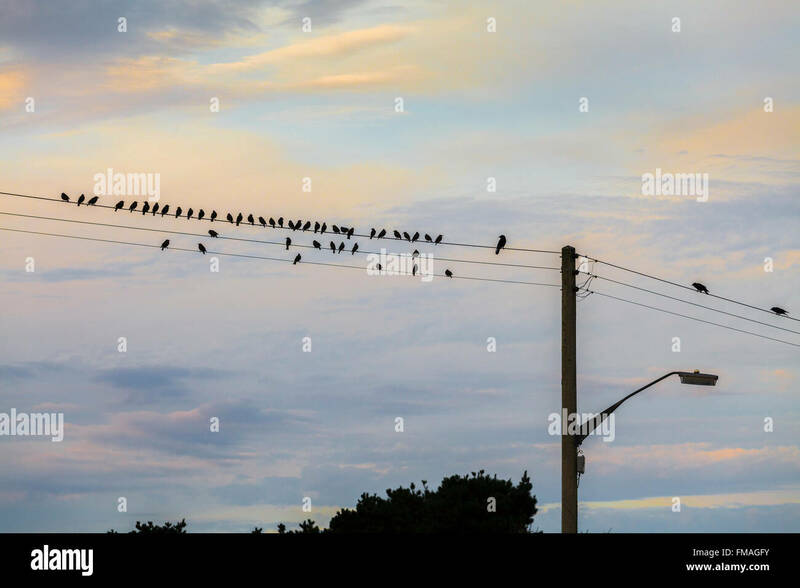 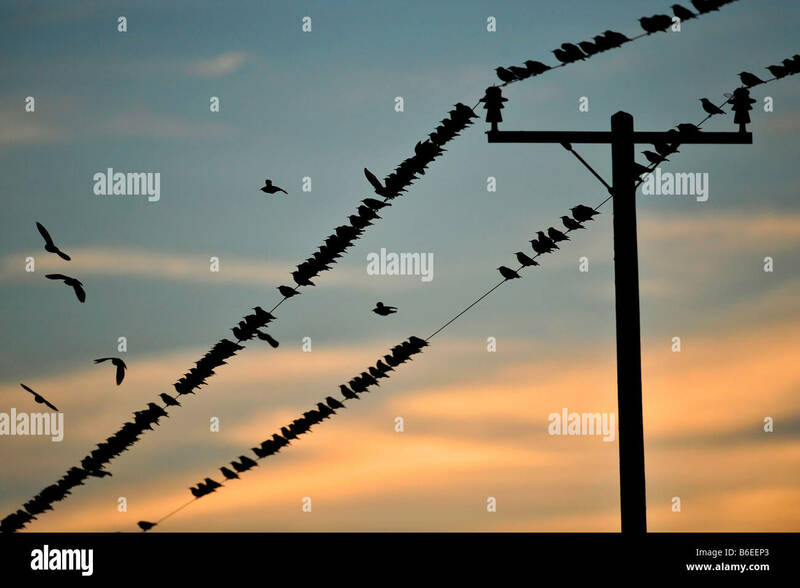 Many Starlings on wires at sunset. 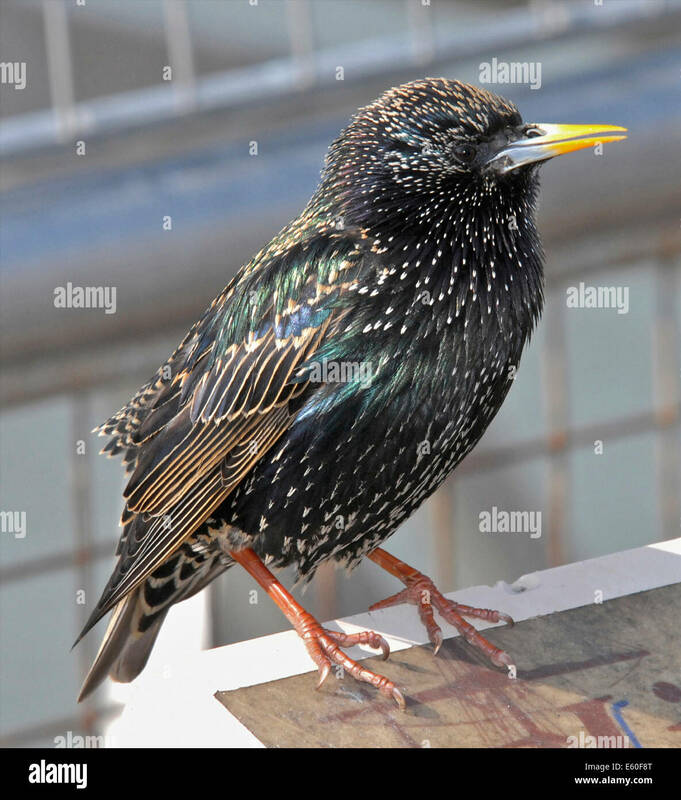 Sturnus vulgarus. 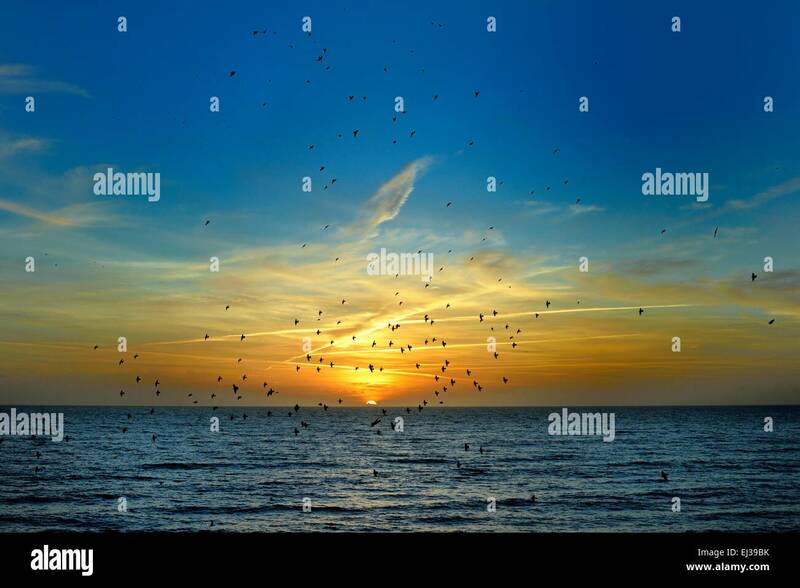 French: Étourneau sansonnet German: Star Spanish: Estornino Pinto. 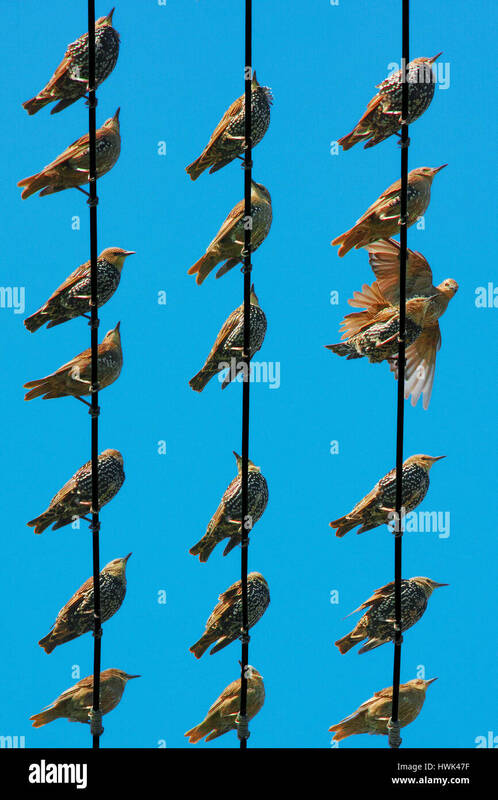 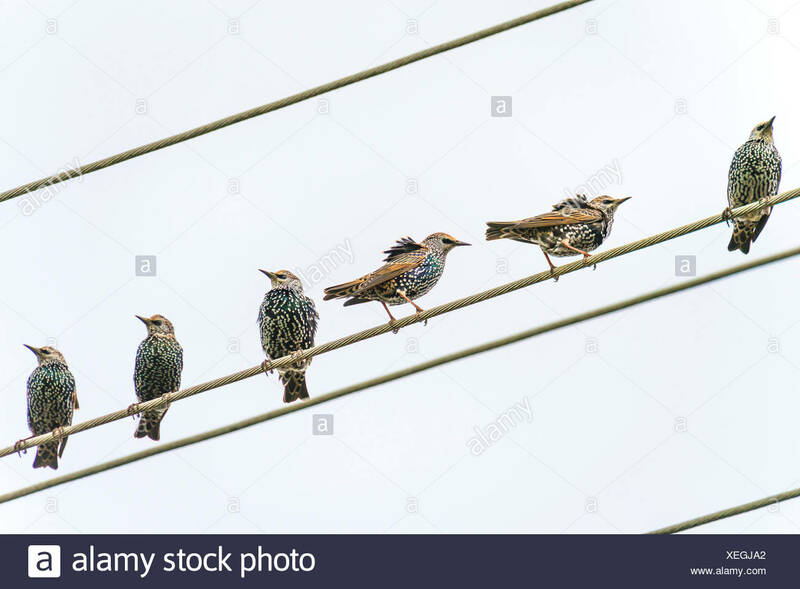 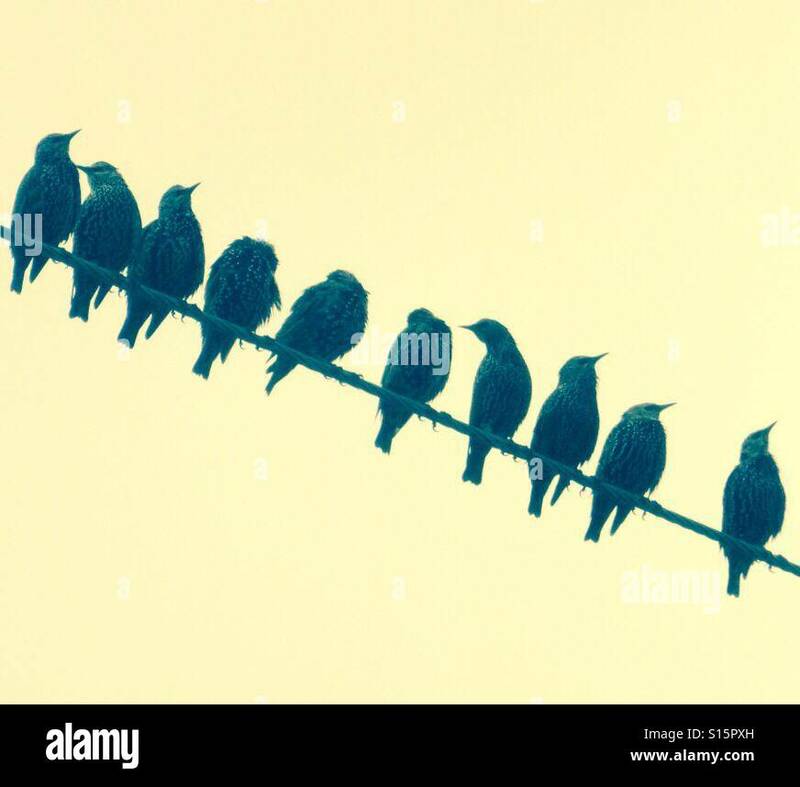 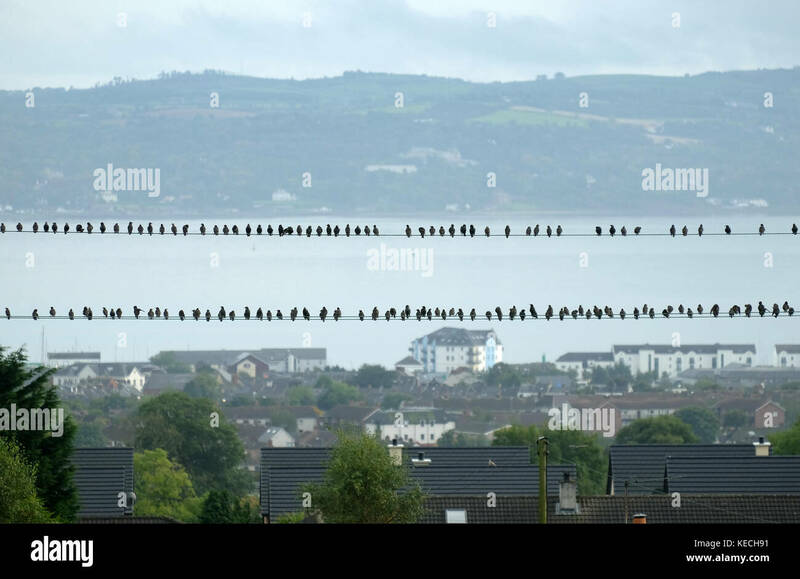 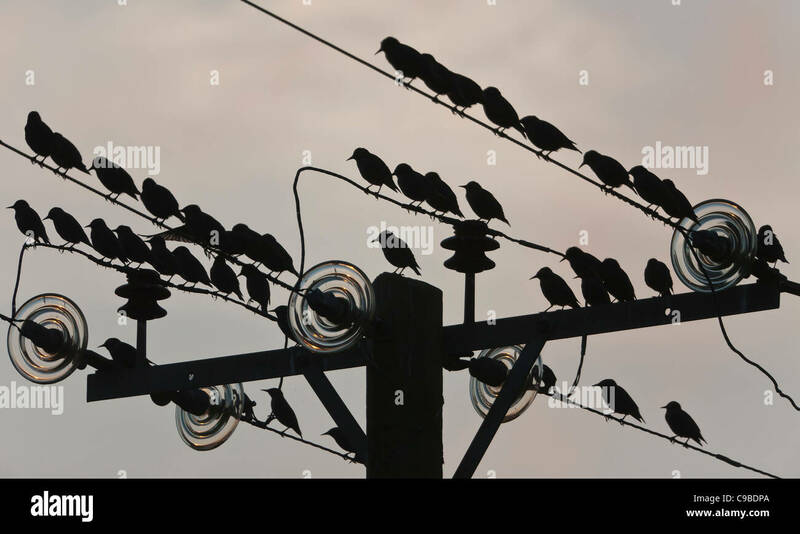 Flock of starlings on telegraph wires, Carrickfergus, Northern Ireland. 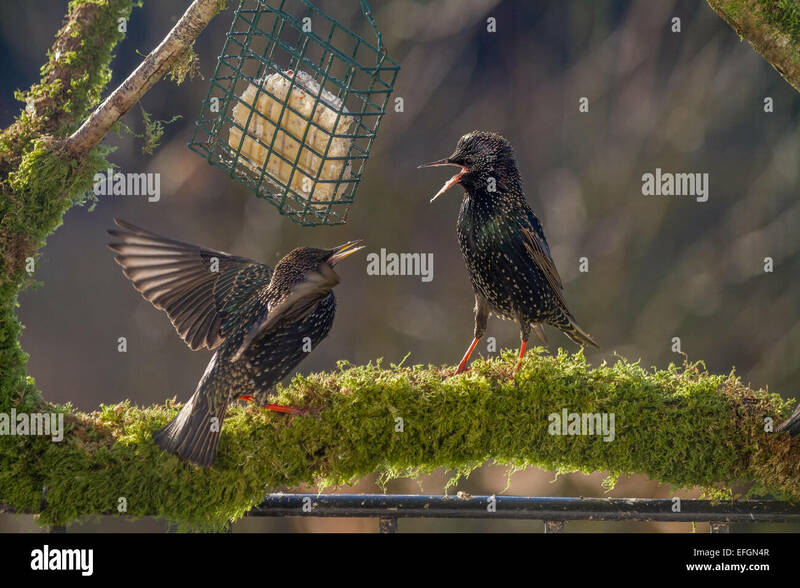 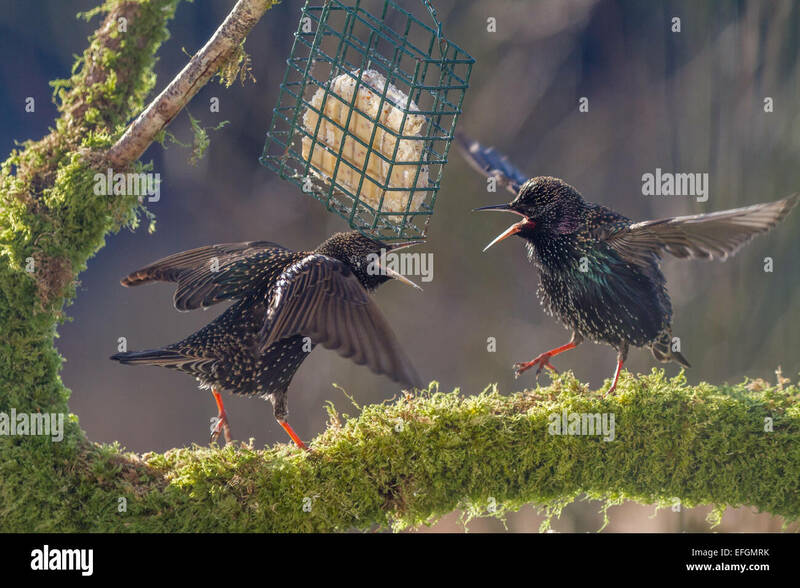 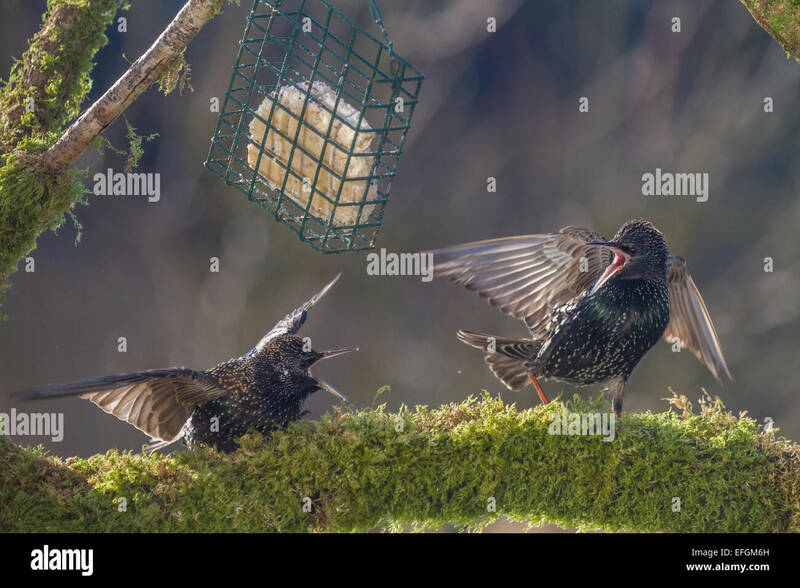 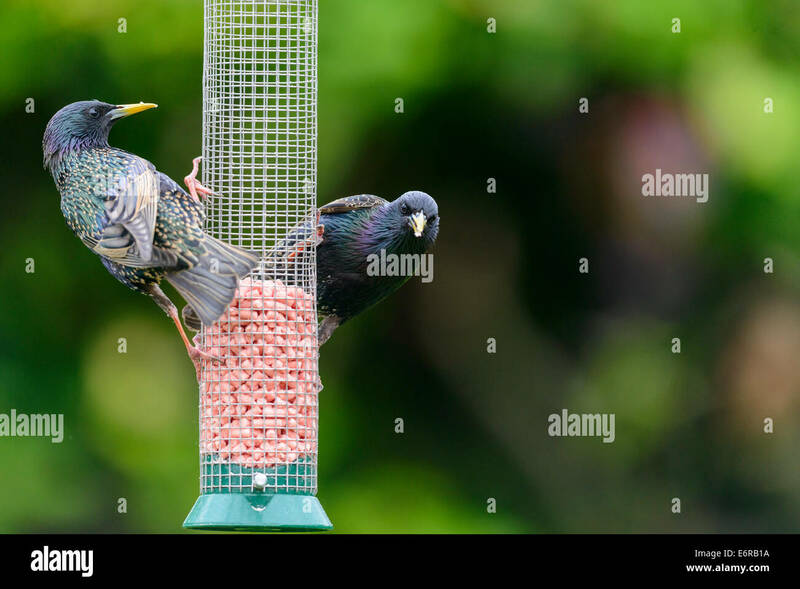 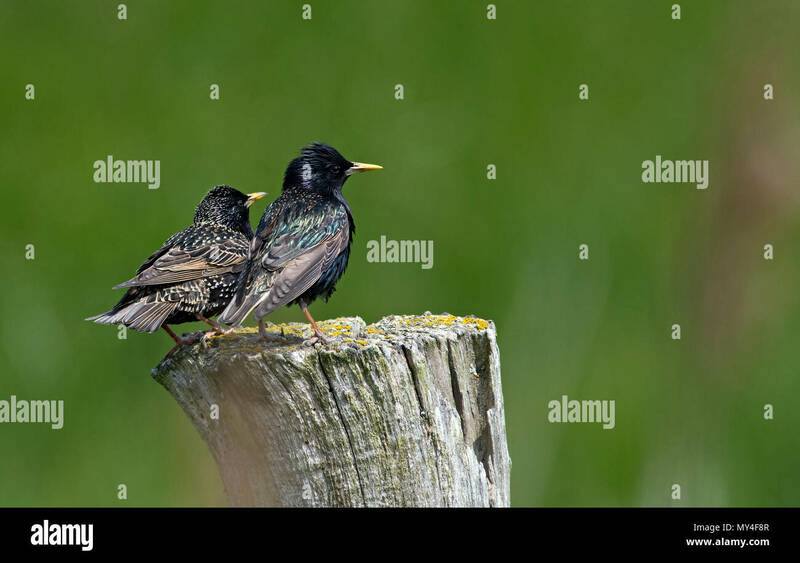 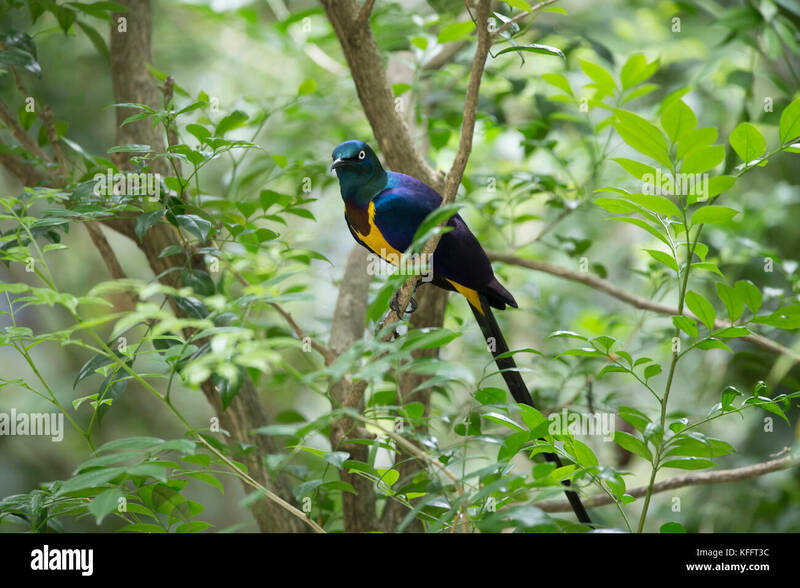 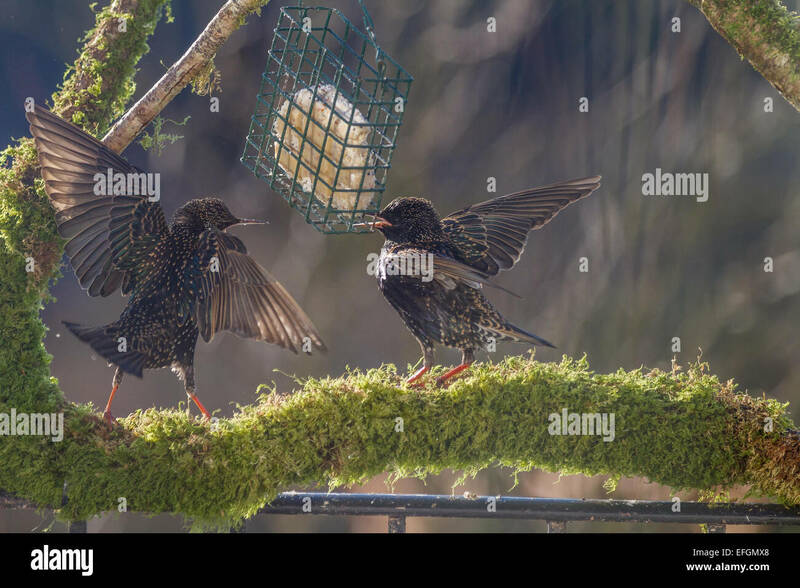 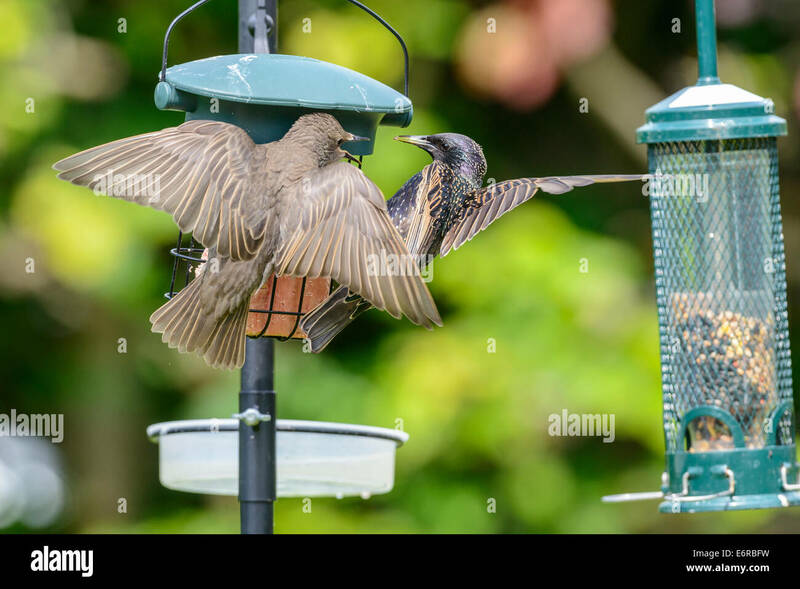 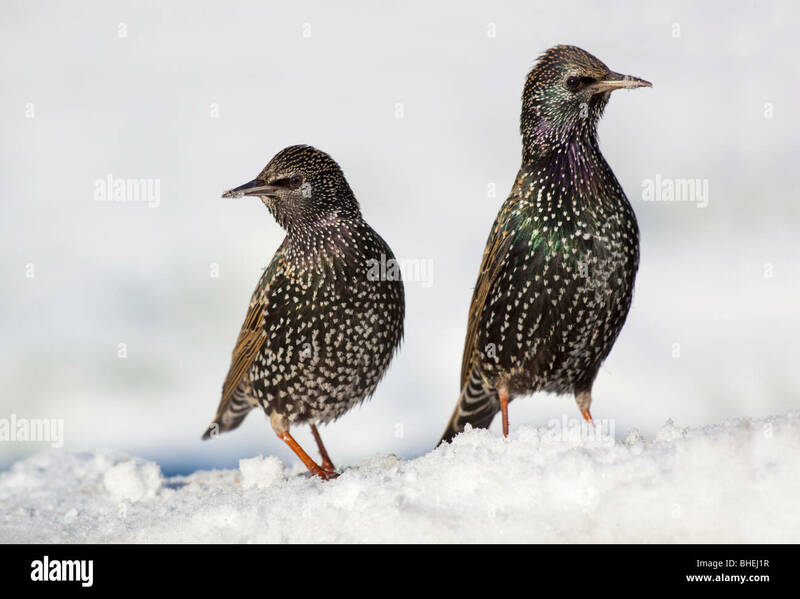 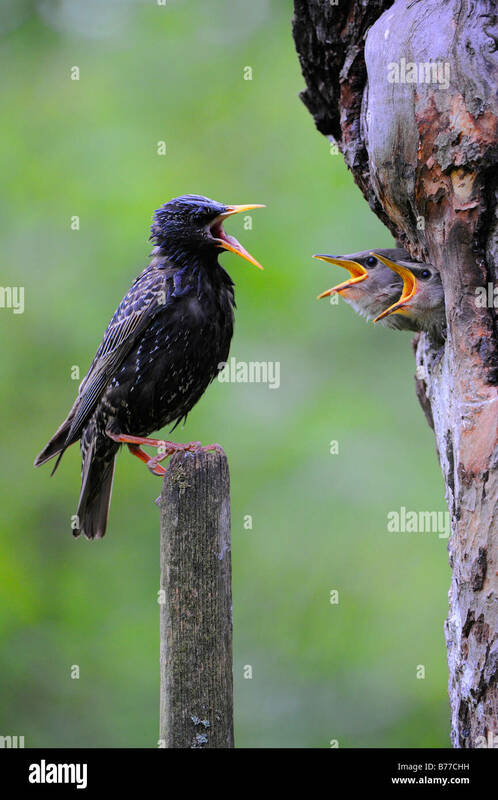 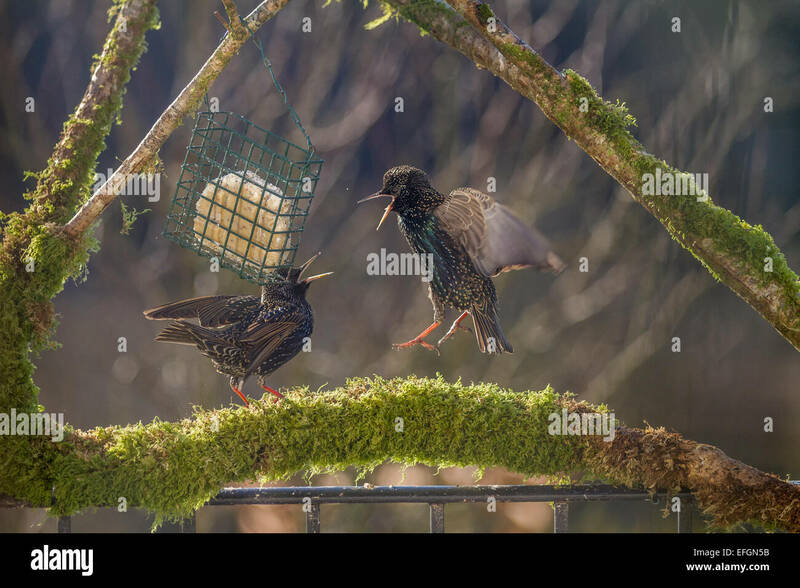 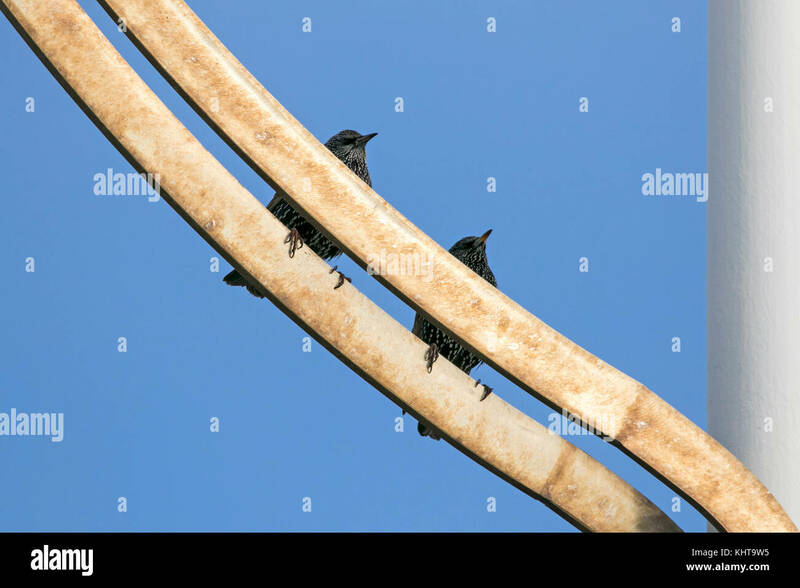 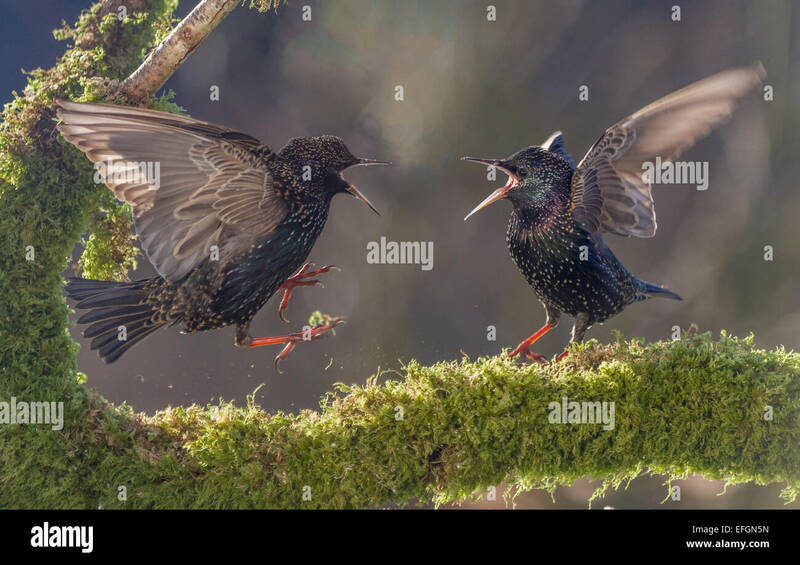 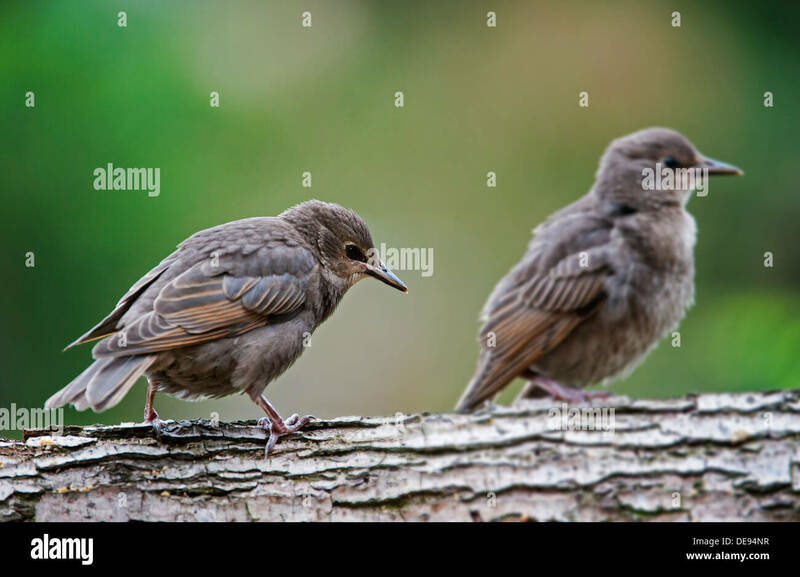 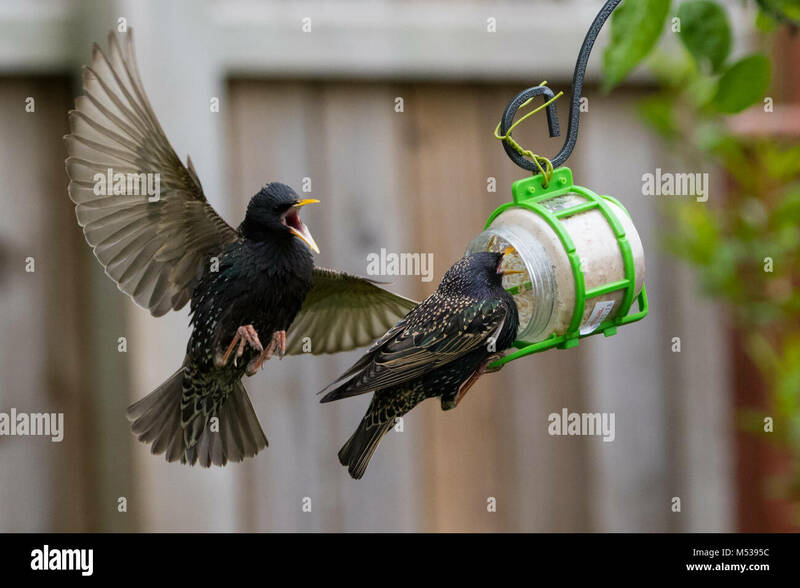 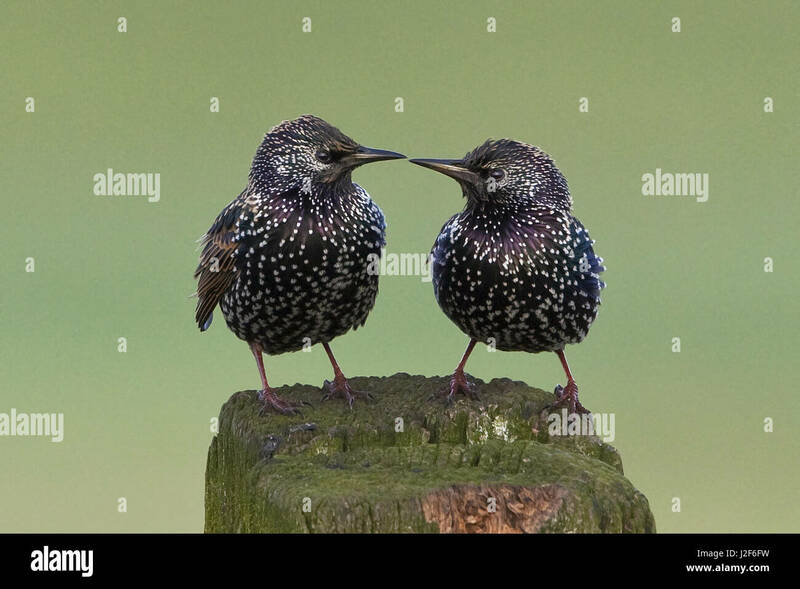 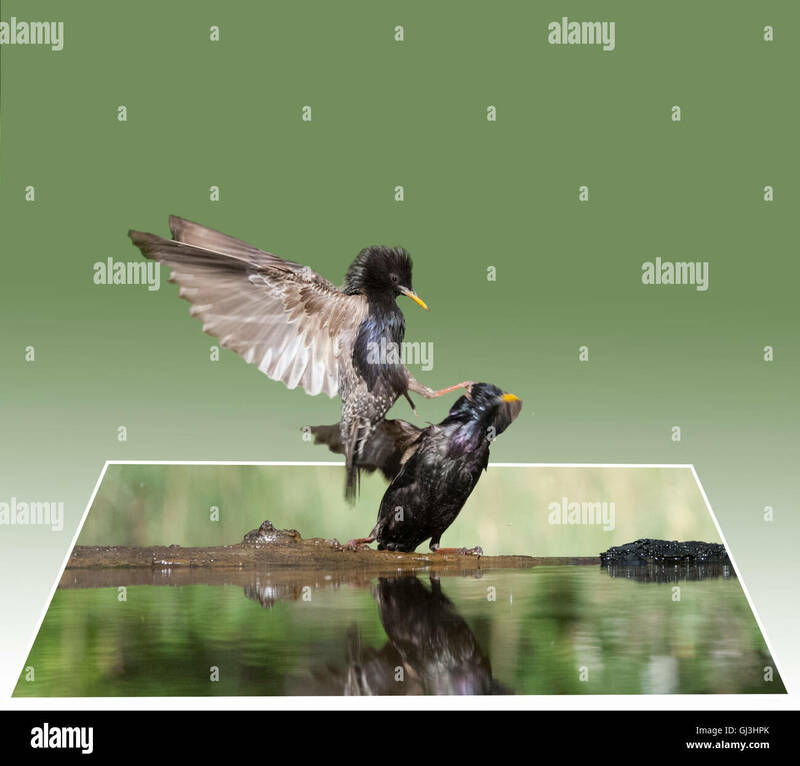 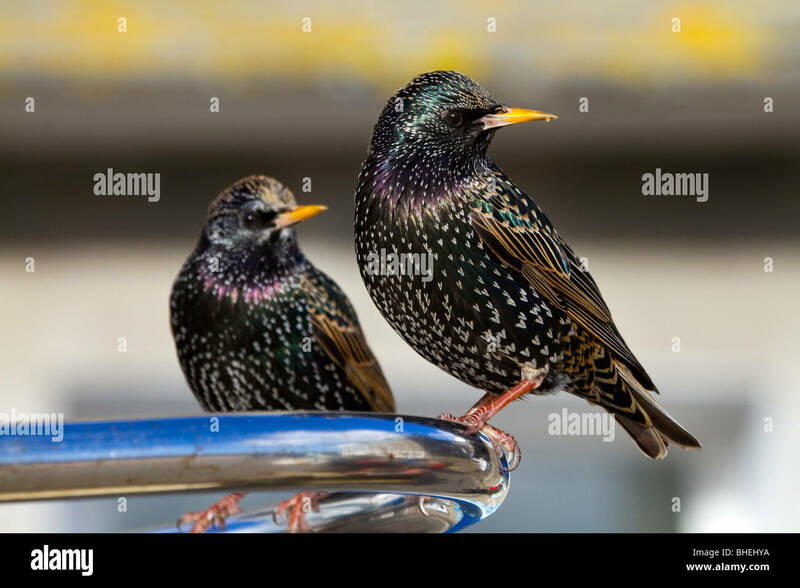 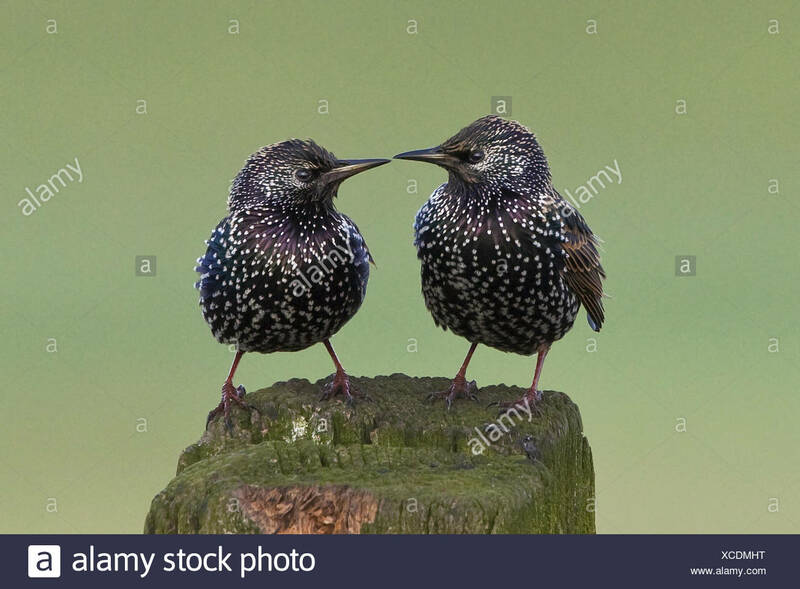 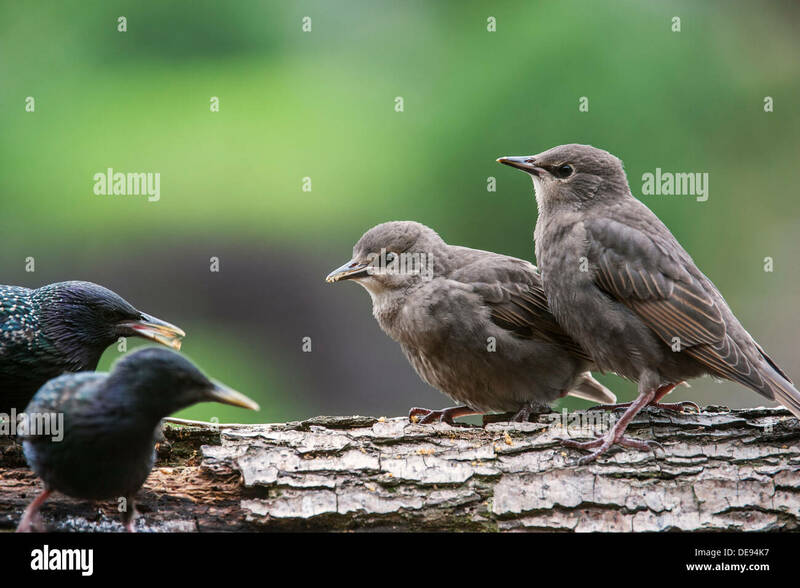 A pair of Common Adult Starlings (Sturnus vulgaris). 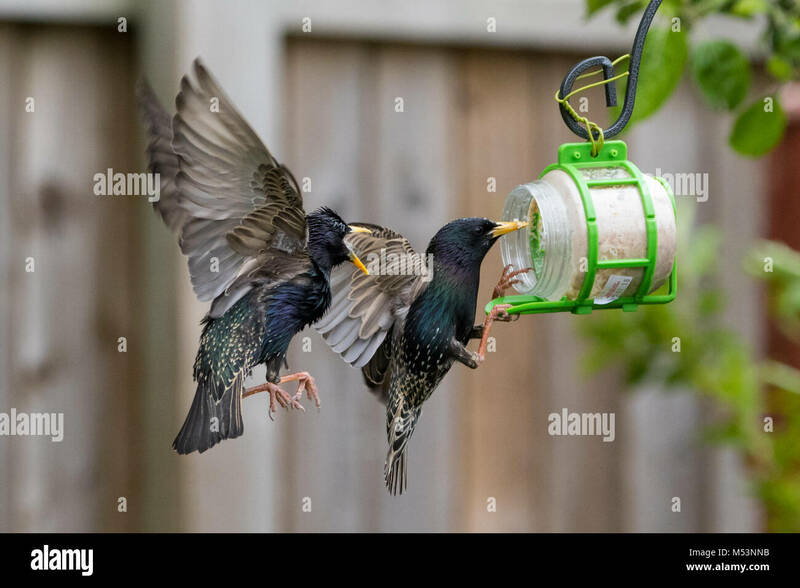 Starlings in country garden,Suffolk, Britain,August 2009. 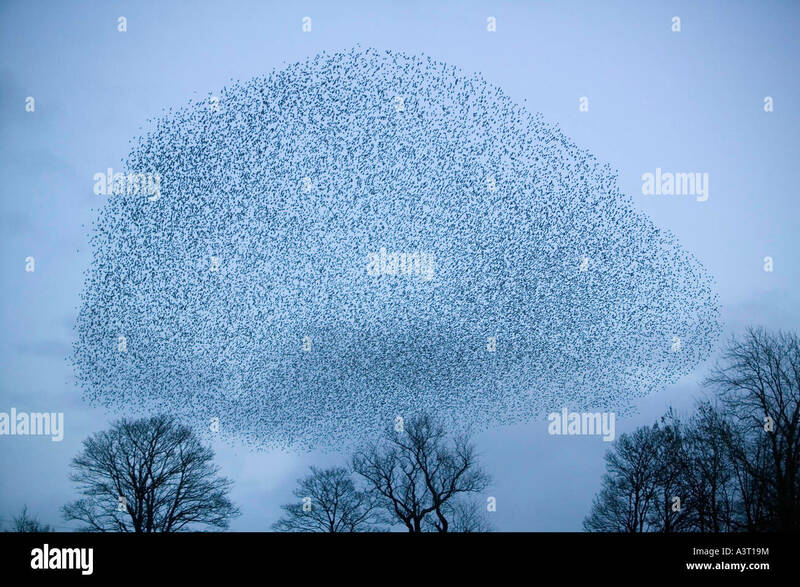 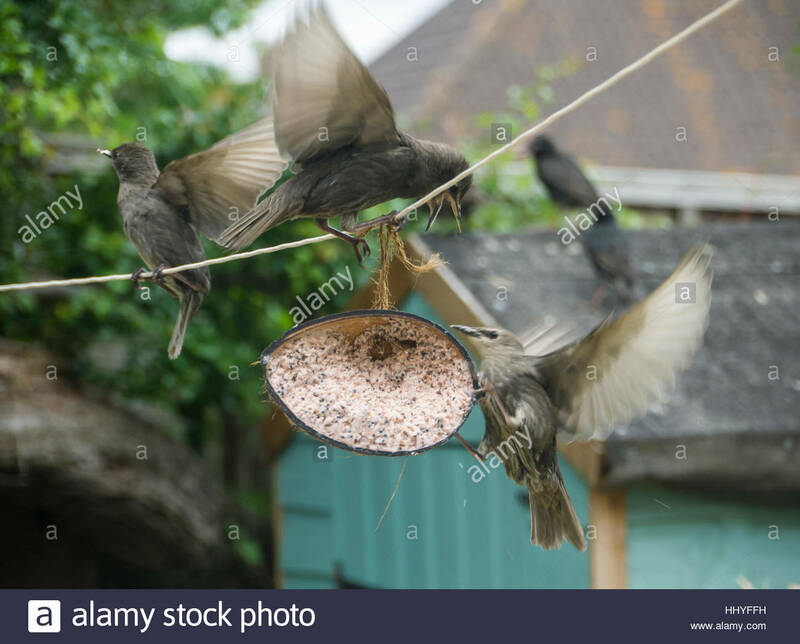 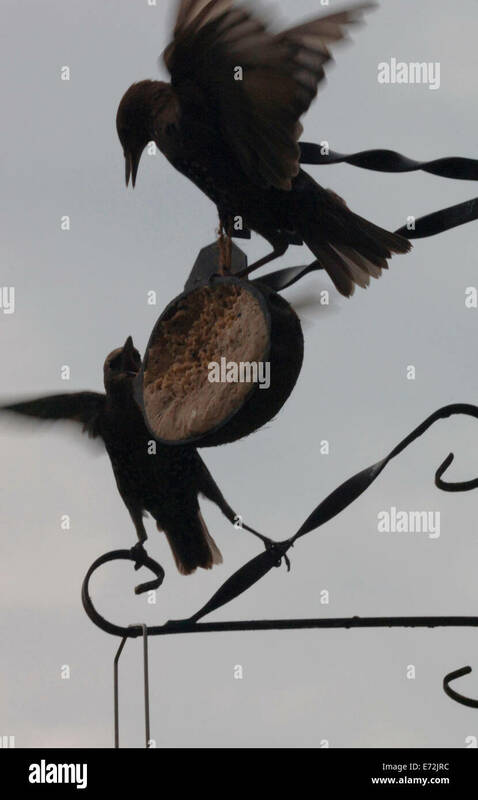 Starlings Feeding From A Fat Ball. 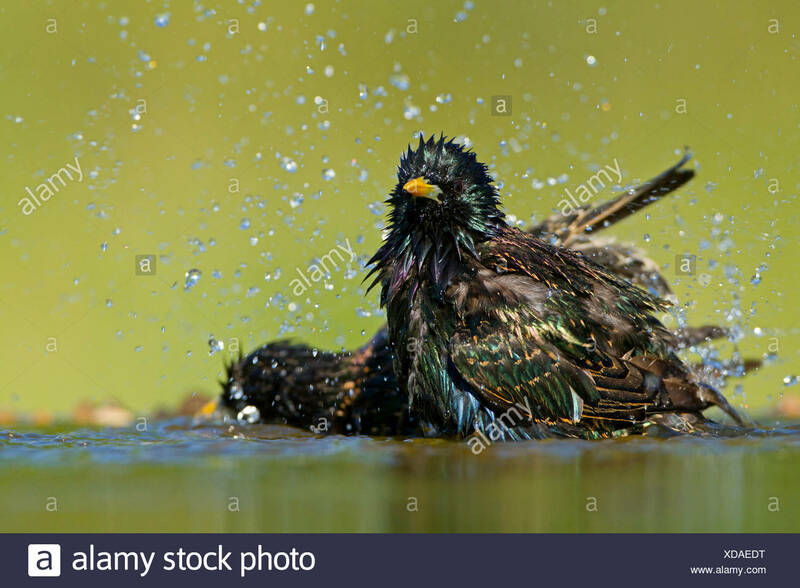 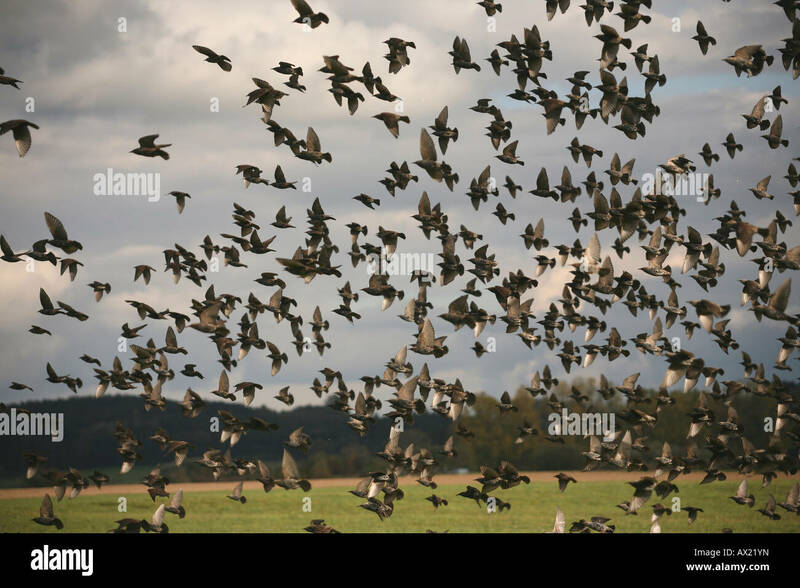 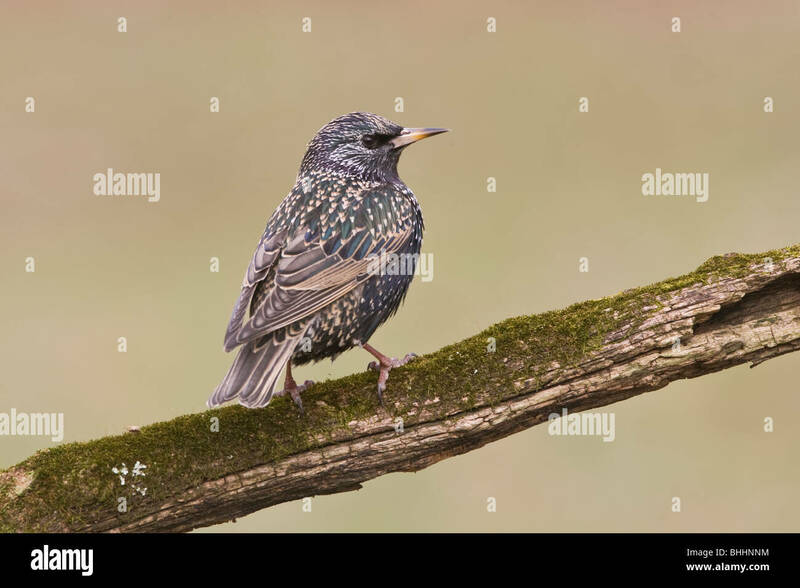 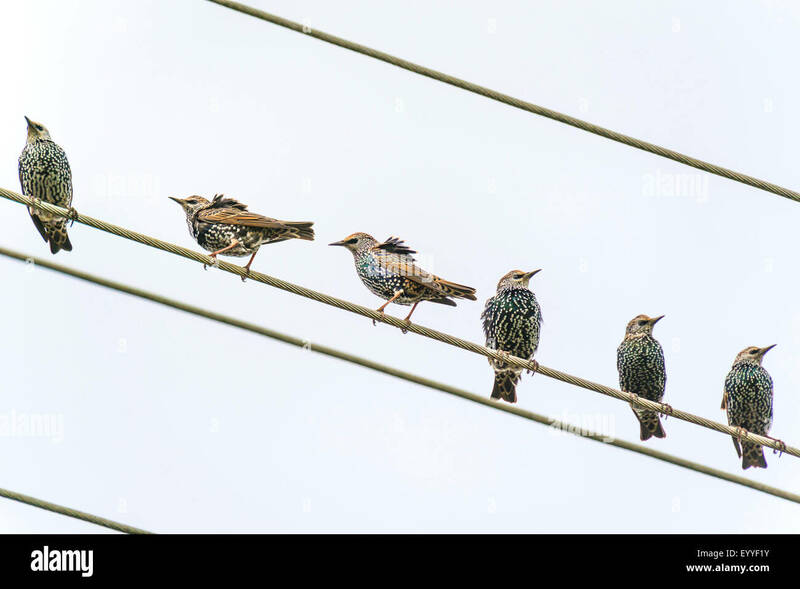 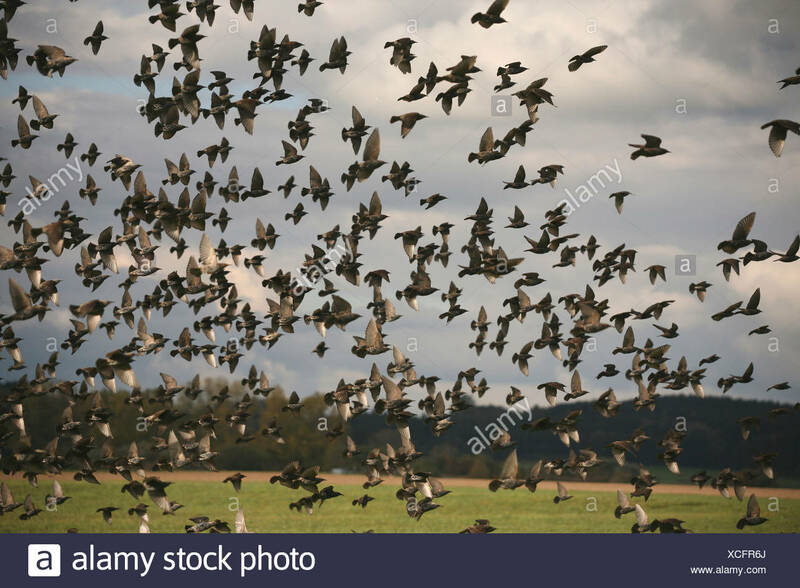 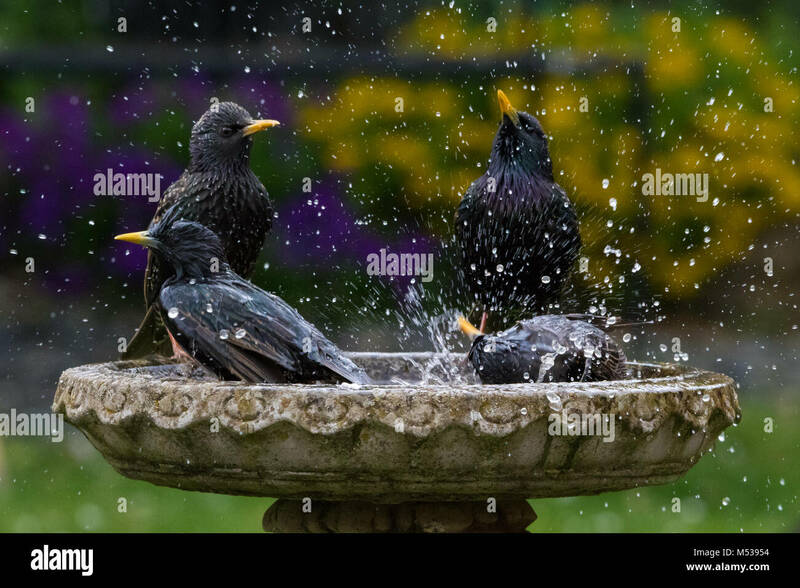 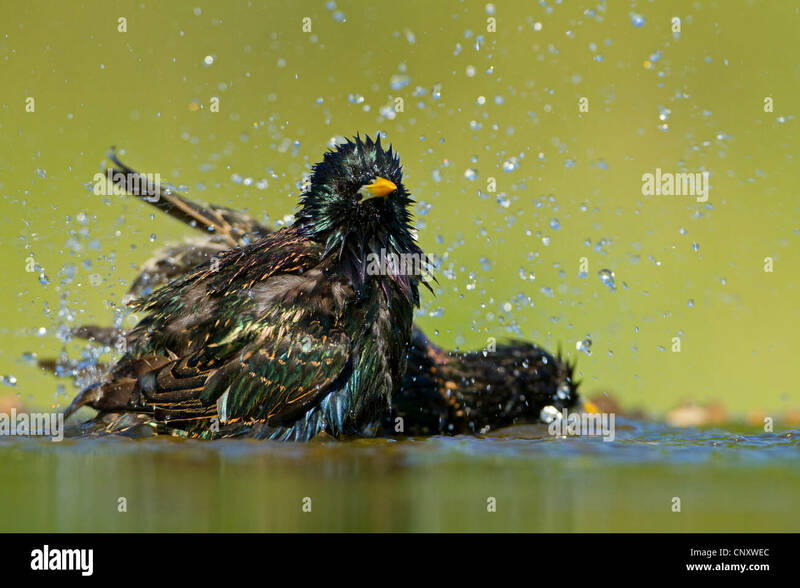 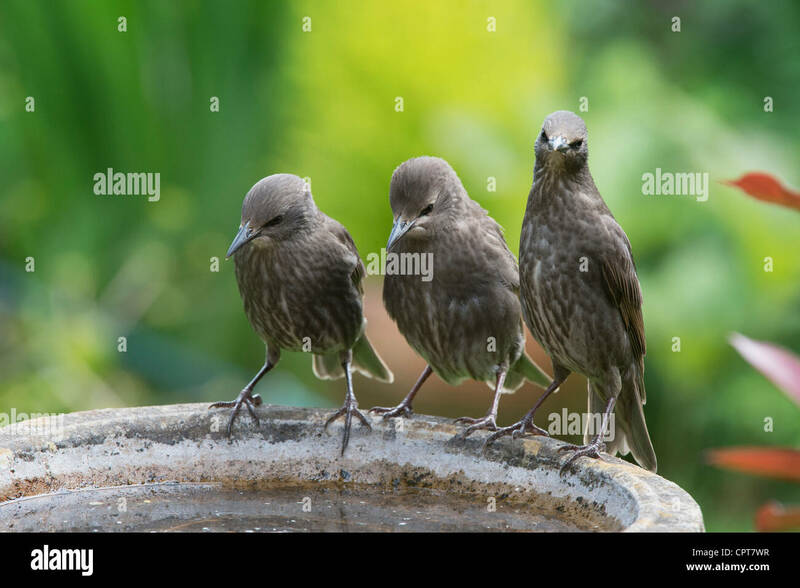 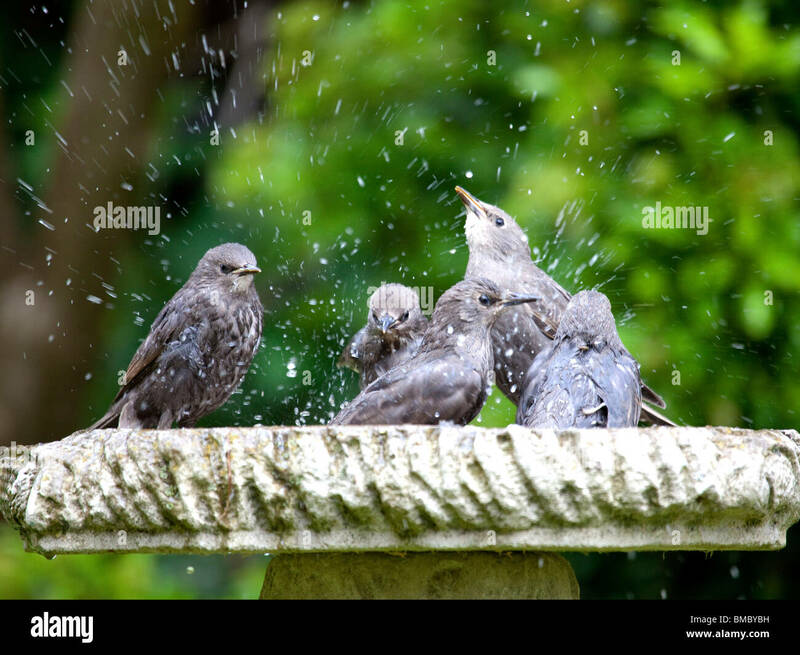 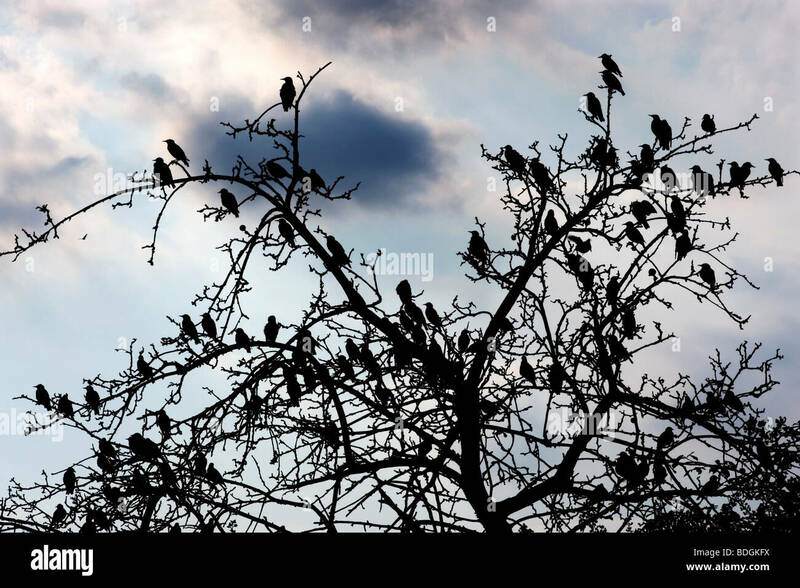 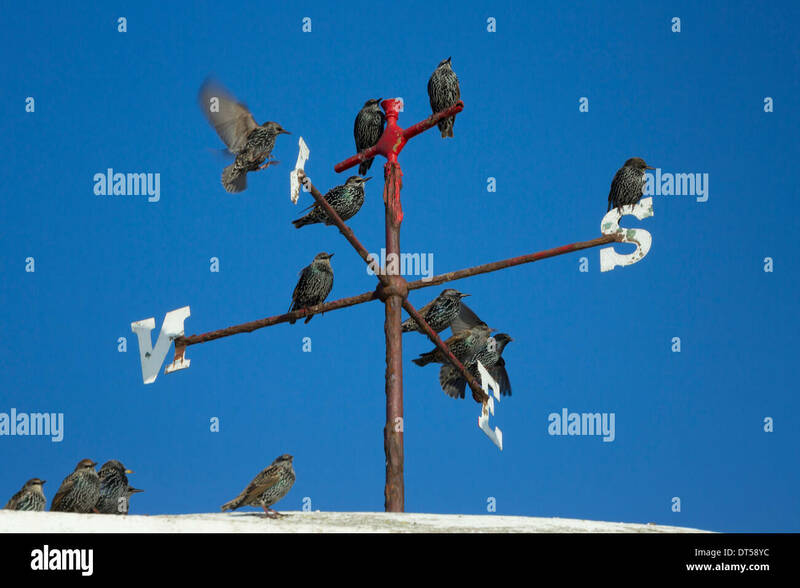 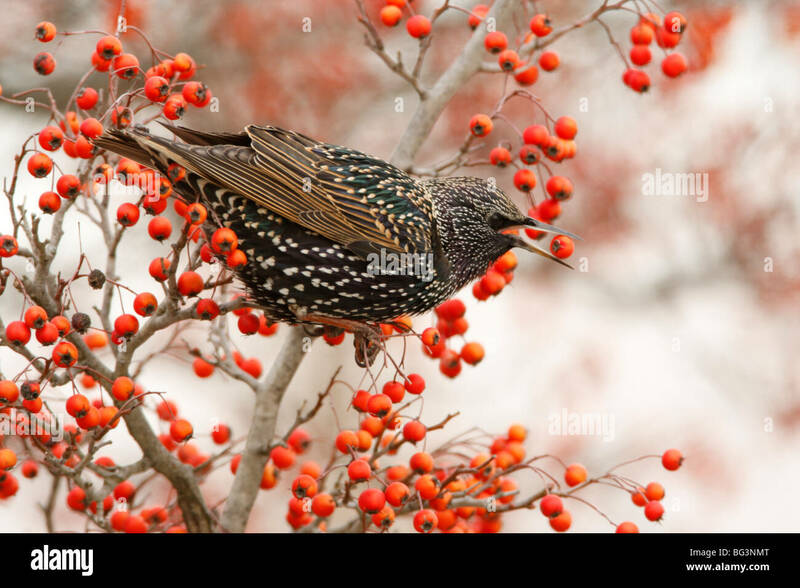 (Sturnus vulgaris).